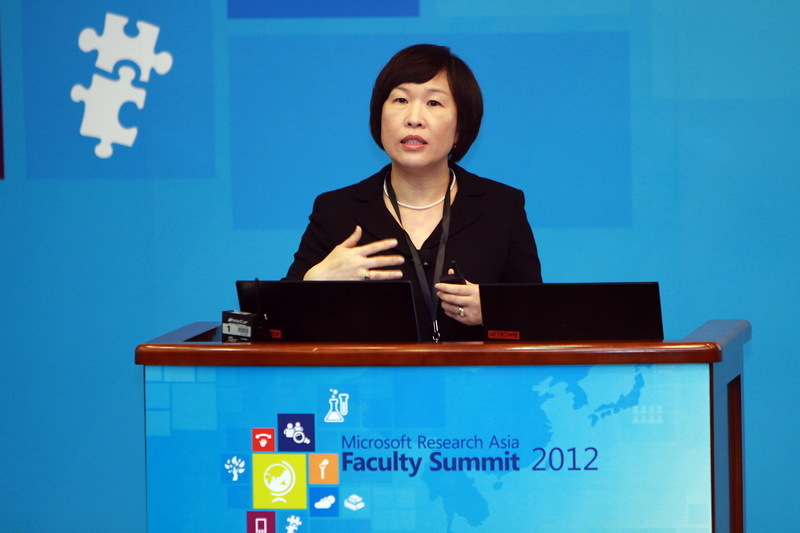 The Asia Faculty Summit 2012, organized by Microsoft Research Asia in partnership with Nankai University and Tianjin University, was held in Tianjin, China, October 26 to 27, 2012. The summit brought together leading academic researchers, educators, and Microsoft researchers to discuss topics related to the theme “Advancing Research and Education,” including recent advancements in computing research and future educational trends that are resulting in tools and methodologies to help solve real-world problems in many social and scientific areas. 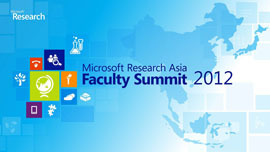 Since its debut in 2000, more than 1,500 academics across the Asia-Pacific region have participated in the Microsoft Research Asia Faculty Summit. It provides a forum for academic leaders from the top research universities and institutes to share ideas and explore the latest developments and technological trends in research and education that are related to information technology and communications (ITC). 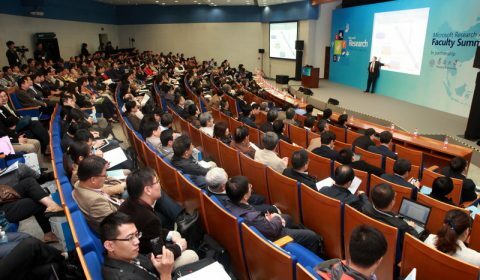 One day before the Asia Faculty Summit, on October 25, 2012, the Computing in the 21st Century Conference was also held in Tianjin. Distinguished speakers, including Turing Award recipients, shared recent achievements in computing science research with students and scholars. 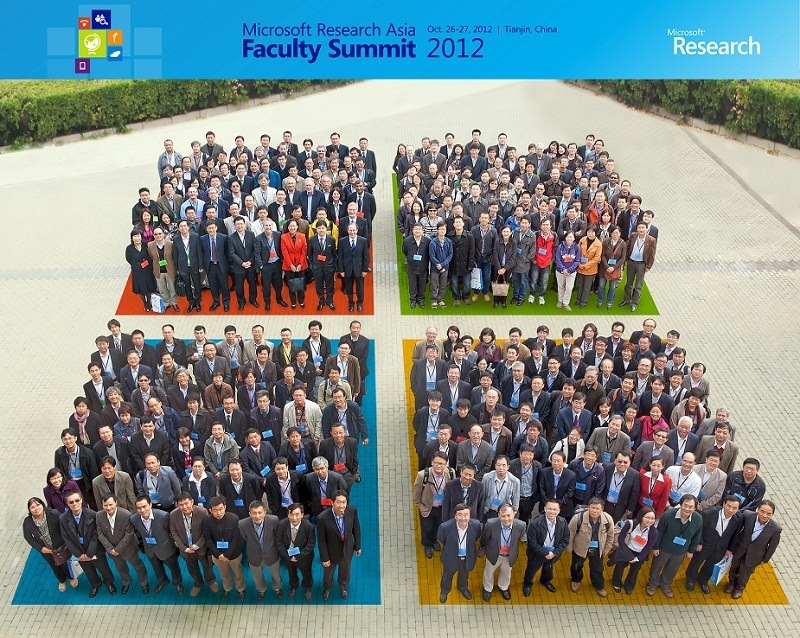 Watch highlights from the 2012 Microsoft Research Asia Faculty Summit, held in Tianjin, China. See some of the speakers who were involved, clips from breakout sessions and DemoFest, and more. Watch Video here. Find scholarly information for researchers, conferences, journals, and organizations. Since its founding in 1998, Microsoft Research Asia has grown and expanded into new areas of research by focusing on recruiting great people and creating a culture in which they can thrive. 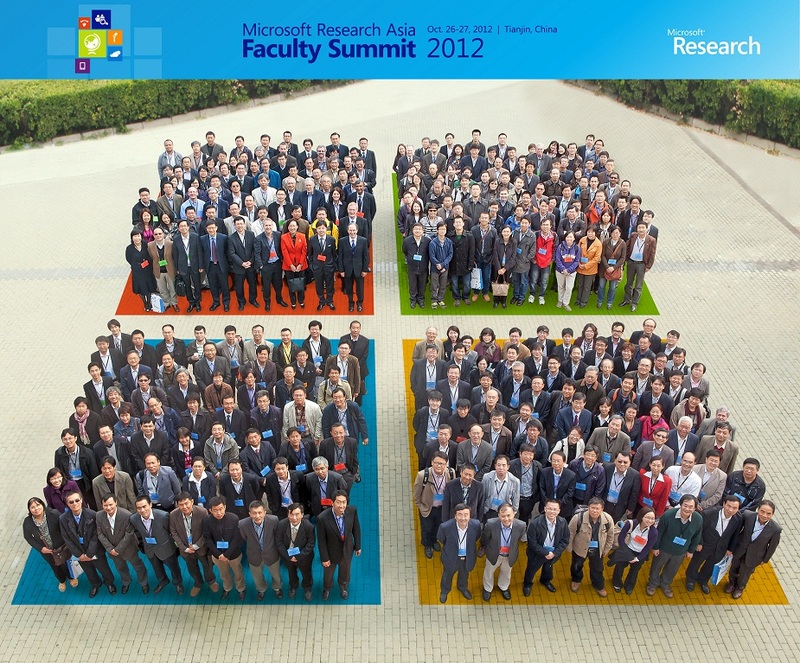 In addition, working closely with professors and students from academic institutions across the Asia Pacific region has been a key factor in Microsoft Research Asia’s success over the years. 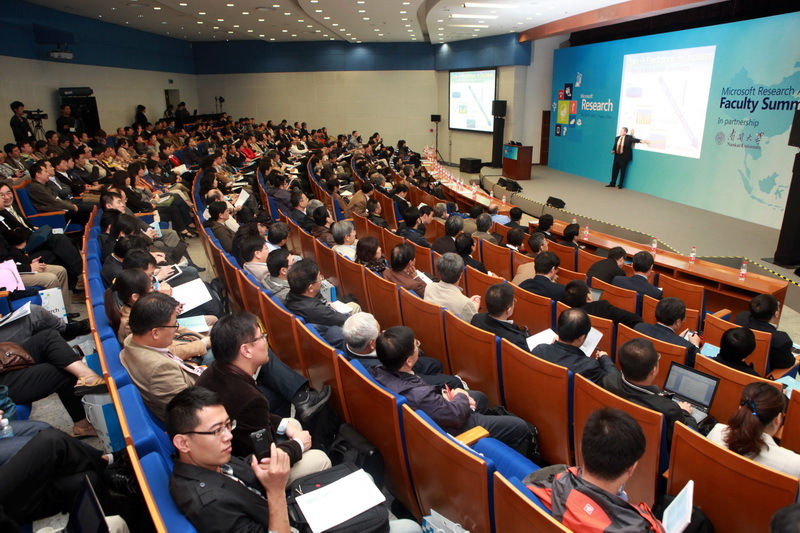 In this talk, I will provide an update on Microsoft Research Asia’s research areas and recent research. I will also discuss some projects that showcase the lab’s work in a wide array of disciplines. Representations of probability and utility lay at the heart of a two-decade rolling revolution in machine learning and intelligence. A confluence of advances has led to an inflection in our ability to collect, store, and harness large amounts of data for generating insights and guiding decision making in the open world. Beyond study and refinement of principles, fielding real-world systems is critical for testing the sufficiency of algorithms and implications of assumptions—and exploring the human dimension of computational solutions and services. I will discuss efforts on learning and inference, highlighting key ideas in the context of projects in transportation, healthcare, and citizen science. Then, I will describe the composition of integrative solutions that draw upon a symphony of skills and that operate over extended periods of time. Computational thinking will be a fundamental skill used by everyone in the world. To reading, writing, and arithmetic, we should add computational thinking to every child’s analytical ability. Computational thinking involves solving problems, designing systems, and understanding human behavior by drawing on the concepts that are fundamental to computer science. Thinking like a computer scientist means more than being able to program a computer. It requires the ability to abstract and thus to think at multiple levels of abstraction. In this talk, I will give many examples of computational thinking, argue that it has already influenced other disciplines, and promote the idea that teaching computational thinking can not only inspire future generations to enter the field of computer science but benefit people in all fields. 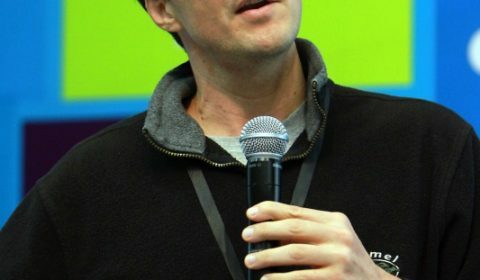 In the Human Computer Interaction group at Microsoft Research Asia, we are conducting cutting-edge research on new interaction technologies and paradigms for the next generation of natural user interfaces, using a wide range of sensors and displays. For example, our researchers and designers have created projected creatures that interact with a user and objects in the environment, phone-based language-learning modules that encourage “micro-learning” on the go, wearable sensors that monitor a user’s daily activities such as eating and laughing, phone-to-phone games for enhanced social interactions, and new platforms for authoring, rehearsing, and delivering presentations. Empowering the user with additional touch-based feedback is a new thrust of our research agenda. This talk will showcase the many exciting projects we work on, providing the audience a glimpse into the future of human computer interactions. There has been immense recent interest around the transformational potential of online learning. The promise: quality education for everyone, everywhere, affordably. Massive Online Open Courses (MOOCs) offered by Stanford, MIT, and other major universities have had enrollments of 100,000 or more students with 10,000 or more completing the courses. Both for-profit and non-profit start-ups have emerged and are forging rapidly ahead, for example, Coursera from Stanford, Udacity from Stanford, EdX from MIT-Harvard, and Khan Academy. We invite you to this panel to hear directly from the people who are leading this transformation as a highlight of this year’s tenth Asia Faculty Summit. 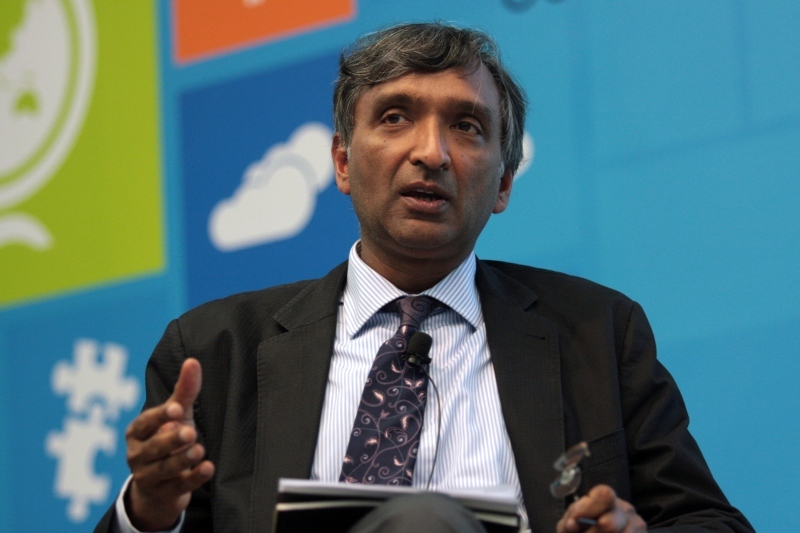 The panel will be chaired by Anoop Gupta, distinguished scientist at Microsoft Research. What possible paradigm shifts and disruptive computer science research directions are anticipated over the next five to ten years? Will we see research interests evolve in response to funding opportunities, or funding patterns mirror emerging research? Which model will most inspire innovation? How can researchers help balance national strategic priorities with general research interests? What are the best practices from around the Asia-Pacific region? In a discussion that includes both a broad global view and examination of country-specific practices, this panel session of experts and thought leaders will explore pressing questions that relate to the dynamic symbiosis between research development and funding, based on individual experience and insight. How must world-class universities evolve to help students meet the challenges of the twenty-first century? What critical skill sets and characteristics will be in demand in the future? What is required, other than high-quality research, teaching, and infrastructure? Baining Guo will lead a panel of experts with more than 100 years of combined educational experience for an illuminating discussion. In the current age of ubiquitous and cloud computing, the computer industry faces technological challenges of unprecedented scale, and there is a growing demand for a broad spectrum of innovative applications to meet the needs of businesses and consumers. 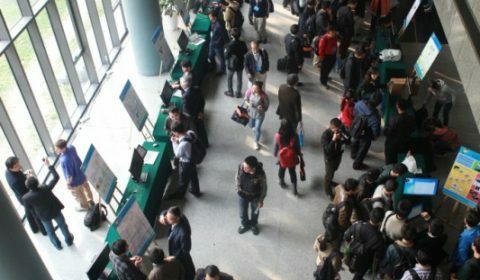 In response, academic institutions and industrial research labs are prioritizing the effective and high-quality training of new computer scientists and researchers. The goal of this session is to discuss talent growth and development of young researchers who are in the early stages of their careers. We will hear from senior education leaders what research institutions need to provide—in terms of guidance, resources, and environment—so that they can best help young researchers become more independent and proficient. We will also learn, from examples and experiences of successful young scholars, how young researchers can stay self-motivated and focused during this process. Michael S. Brown is an associate professor and assistant dean (External Relations) in the School of Computing at the National University of Singapore. Brown regularly serves on the program committees for the major Computer Vision conferences (ICCV, CVPR, ECCV, and ACCV) and is currently an associate editor for IEEE TPAMI. He has served as an area chair for CVPR’09, ACCV’10, CVPR’11, ICCV’11, ECCV’12, ACCV’12, and CVPR’13 (upcoming). His research interests include computer vision, image processing, and computer graphics. 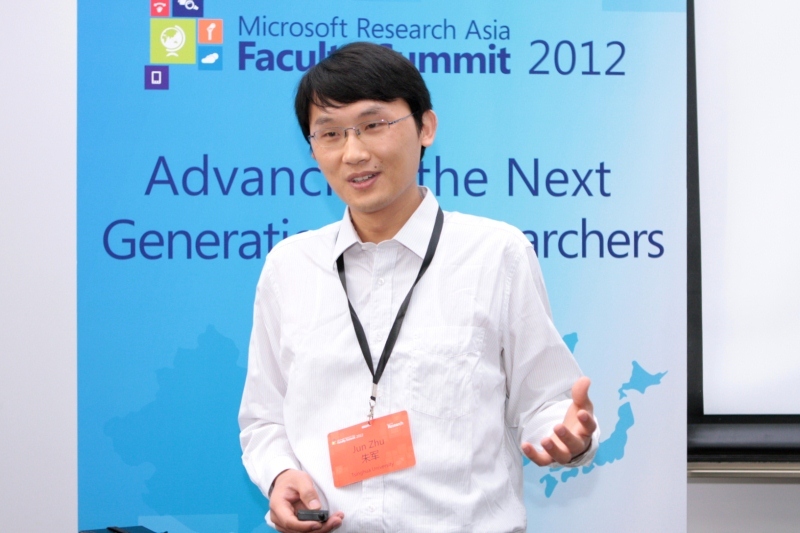 Xiang Cao is a researcher in the Human-Computer Interaction (HCI) group at Microsoft Research Asia. His research is in the general field of HCI, and currently focuses on next-generation interaction technologies and digital tools to support creativity. His other interests include computer-supported cooperative activities and user performance modeling. 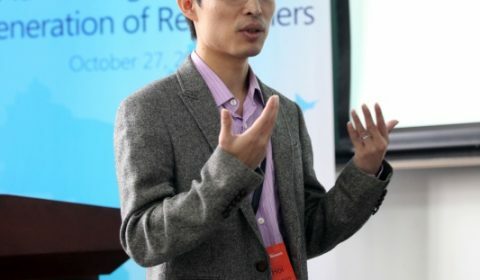 Along with other professional services, he currently serves as the vice chair of the China Chapter of ACM Special Interest Group on Computer Human Interaction (SIGCHI), working towards promoting HCI research in China and Asia and their connection with the international HCI community. 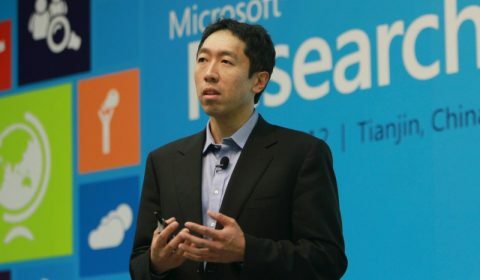 Eric Chang joined Microsoft Research Asia in July 1999 to work in the area of speech technologies and is currently the senior director of Technology Strategy and Communications; his responsibilities include communications, IP portfolio management, and driving new research themes such as eHealth. 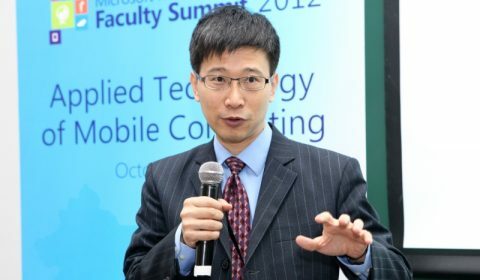 Prior to his new responsibilities at Microsoft Research Asia, Chang co-founded the Microsoft Advanced Technology Center (ATC) in 2003 as the assistant managing director. At ATC, he led teams to ship features for Windows and Windows Mobile and started a multi-disciplinary incubation team. 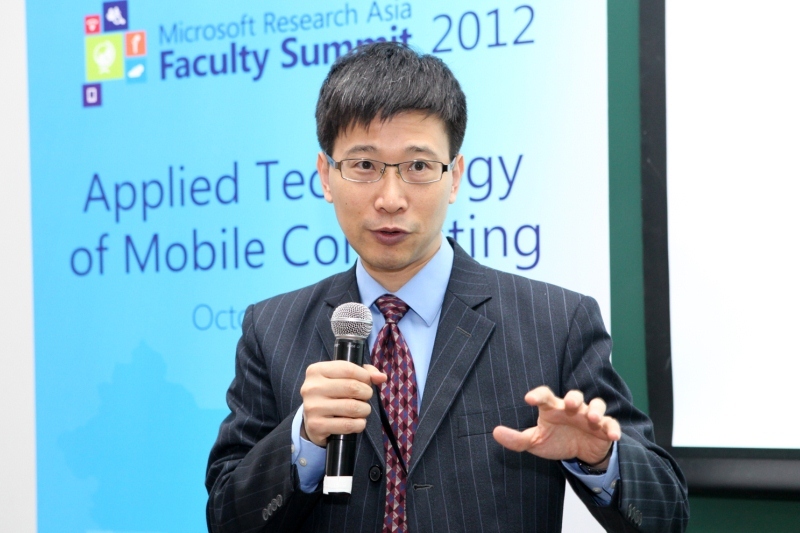 Before joining ATC, Chang was the research manager of the speech group at Microsoft Research Asia and the acting University Relations director for one year. 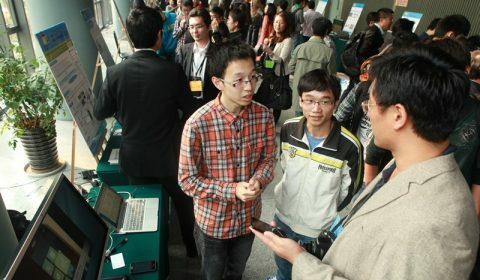 A technology transfer result from his group is the Chinese version of Microsoft Office XP, which incorporates the Mandarin speech recognition engine developed at Microsoft Research Asia. Chang graduated from the Massachusetts Institute of Technology (MIT) with Ph.D., master’s, and bachelor’s degrees, all in the fields of electrical engineering and computer science. While at MIT, he was inducted into the honorary societies, Tau Beta Pi and Sigma Xi. Eric is also a senior member of IEEE. Xilin Chen received the B.S., M.S., and Ph.D. degrees in Computer Science from the Harbin Institute of Technology, China, in 1988, 1991, and 1994, respectively. 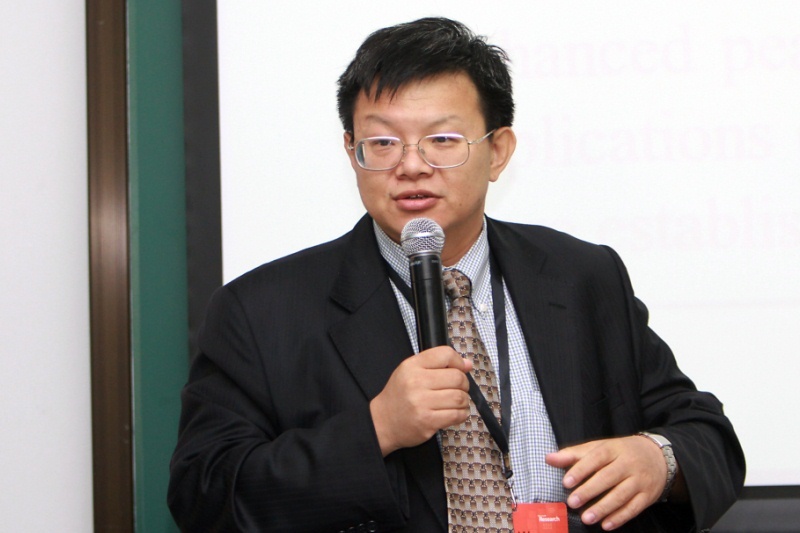 He has been a professor with the Institute of Computing Technology, Chinese Academy of Sciences (CAS), since August 2004. He is a senior member of IEEE. 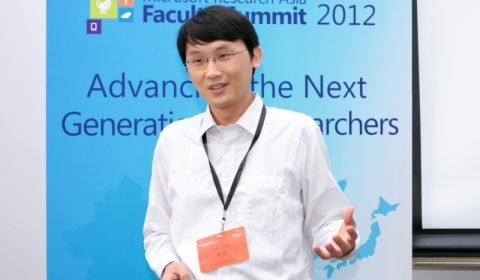 His research interests include image understanding, computer vision, pattern recognition, image processing, multimodal interface, and digital video broadcasting. Chen is the associate editor of IEEE Transactions on Image Processing, and Journal of Computer Science of Technology. He served/serves as general chair of FG 2013, program chair of ICMI 2010, local chair of ACM MM 2009 and ICME 2007, finance chair of ISCAS 2013, tutorial chair of FG 2011, workshop chair of ICMI 2009, and demo chair of ICMI 2006. He also served as a program committee member for more than 30 conferences in related areas, including ICCV, CVPR, ICIP, ICASSP, and ICPR. Joe Chou has more than 15 years of experience working in network security and IT industry for well-known IT enterprises. He has been responsible for introducing new technology and managing the IT department. He has accumulated rich consulting experience about network security, as well as IT system implementation, consultation, and management. 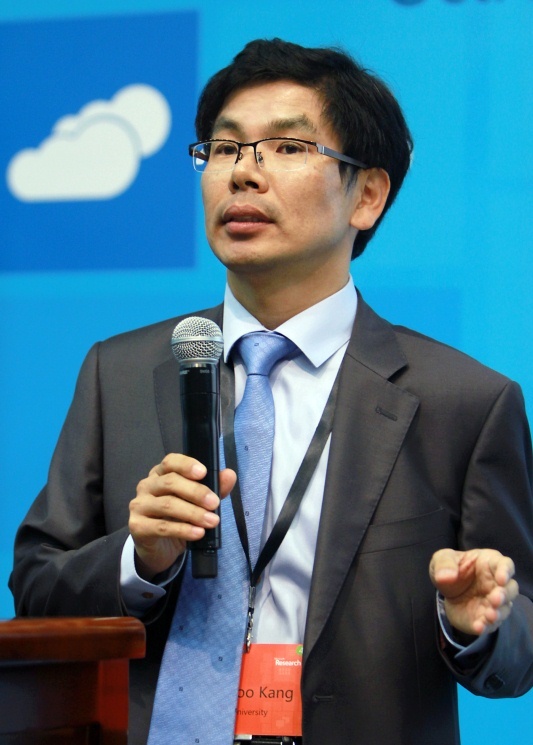 Now, Chou is a senior program manager at the Microsoft China Cloud Innovation Center, where he is working on the next generation of virtualization technology and cloud computing. He also works on collaborations between Microsoft and enterprises in China, and he consults and provides technical support for enterprise infrastructures and Internet platforms. 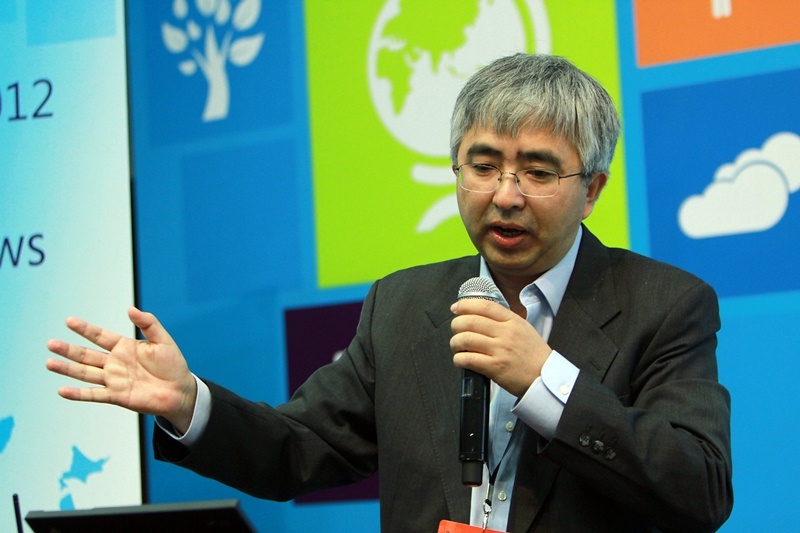 Zide Du joined China Computer Federation (CCF) in 1996 as a full-time employee after working on 12 research projects at the Institute of Computing Technology, Chinese Academy of Sciences. In 1998, he initiated and built up the CCF Young Computer Scientists & Engineers Forum (YOCSEF). Now, the YOCSEF has spread to 20 major cities in China. 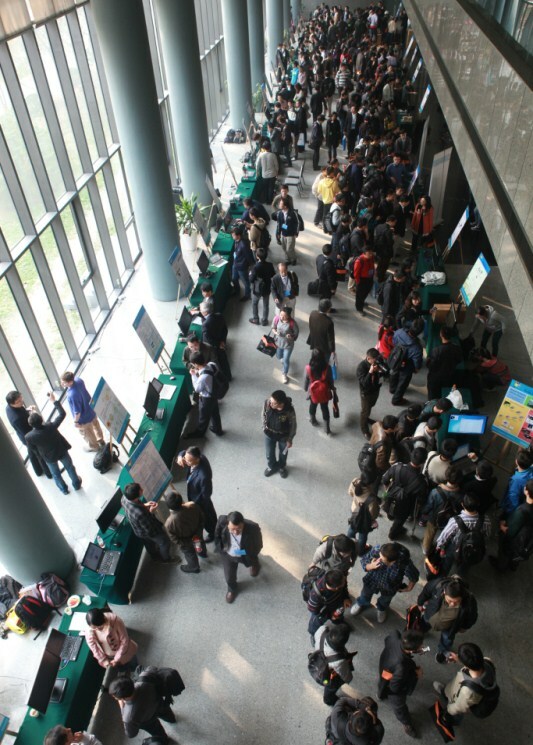 Hundreds of young computing professionals came out from the YOCSEF and many of them are at leading positions. Since 2004, he has been secretary general of the CCF and played an important role in reforming the CCF, which is now a leading society in China. 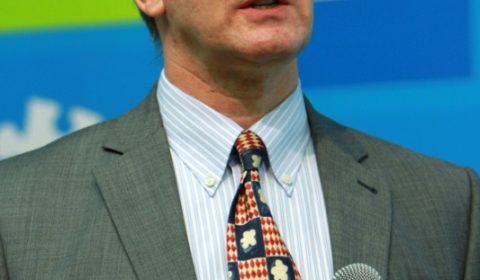 He was the president of the International Olympiad in Informatics (2005–2008), and is now the secretary general of the Standing Committee on Information and Communication, World Federation of Engineering Organizations (WFEO-CIC). Dennis Gannon is the director of cloud research strategy at Microsoft Research Connections. Prior to coming to Microsoft, he was a professor of Computer Science at Indiana University and the Science Director for the Indiana Pervasive Technology Labs and, for seven years, chair of the Department of Computer Science. 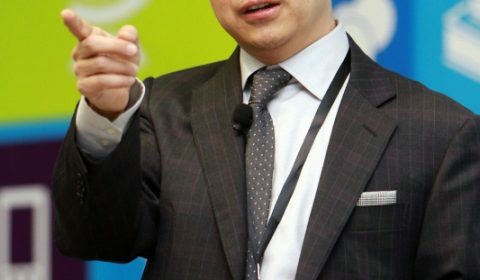 His research interests include large-scale cyber infrastructure, programming systems and tools, distributed computing, computer networks, parallel programming, computational science, problem solving environments, and performance analysis of Grid and MPP systems. He led the DARPA HPC++ project and was one of the architects of the Department of Energy SciDAC Common Software Component Architecture. He was a partner in the NSF Computational Cosmology Grand Challenge project, the NSF Linked Environments for Atmospheric Discovery and the NCSA Alliance. He served on the steering committee of the GGF, now the Open Grid Forum, and the Executive Steering Committee of the NSF TeraGrid where he managed the TeraGrid Science Advisory Board. Gannon was the program chair for the IEEE 2002 High Performance Distributed Computing Conference, the general chair of the 1998 International Symposium on Scientific Object Oriented Programming Environments and the 2000 ACM Java Grande Conference, and program chair for the 1997 ACM International Conference on Supercomputing as well as the 1995 IEEE Frontiers of Massively Parallel Processing. He was the program chair for the International Grid Conference, Barcelona, 2006 and co-chair of the 2008 IEEE e-Science Conference. While he was chair of the Computer Science Department at Indiana University, he led the team that designed the University’s new School of Informatics. For that effort, he was given the School’s Hermes Award in 2006. 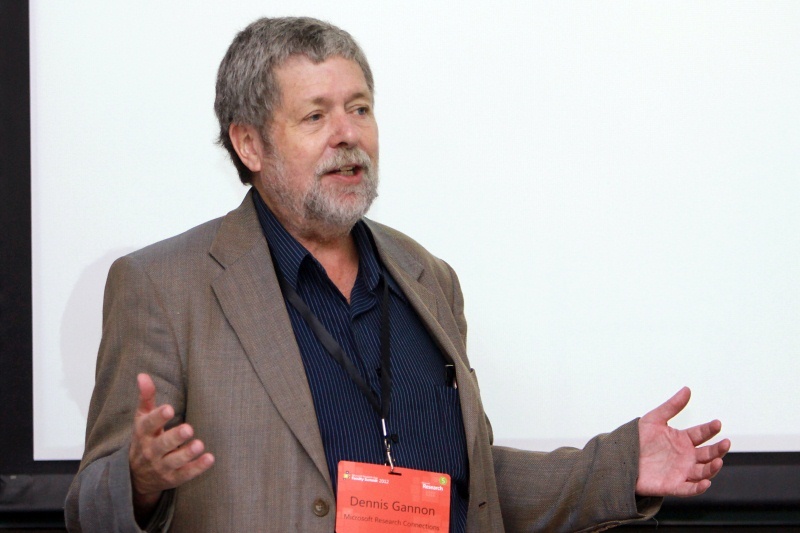 Gannon has published more than 100 refereed articles and co-edited three books. He received his Ph.D. in Computer Science from the University of Illinois Urbana-Champaign in 1980 after receiving a Ph.D. in Mathematics from the University of California, Davis. 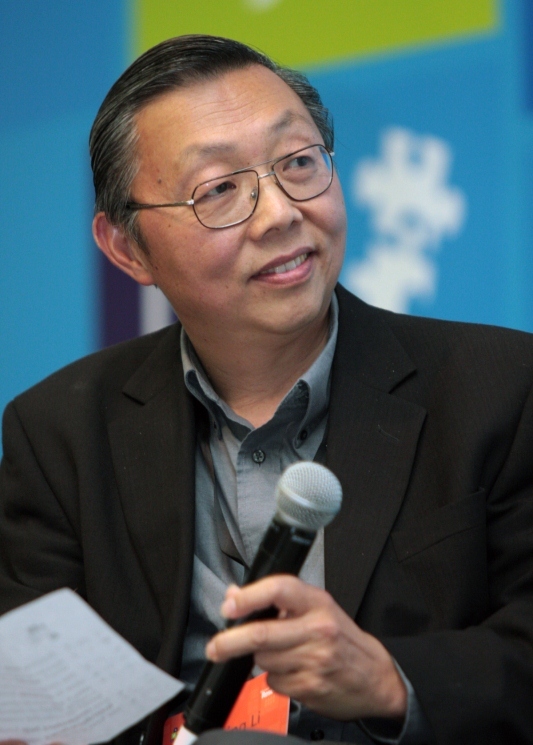 After Professor Ke Gong obtained his bachelor’s degree from Beijing Institute of Technology in 1982, he continued his studies at the Technical University Graz (Austria), where he worked on wave propagation in satellite links and obtained a Doctor Degree of Technological Science in 1986. 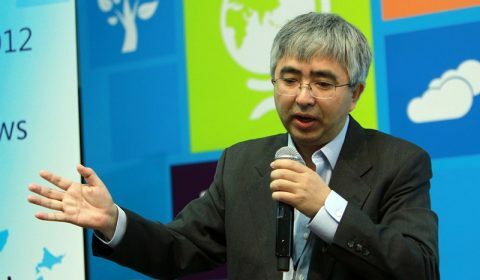 He has served as president of Tianjin University, vice president of Tsinghua University, dean of the School of Information, director of Tsinghua National Laboratory for Information Science and Technology, and director of State Key Laboratory on Microwave and Digital Communications. He has been the president of Nankai University since 2011. Gong has been engaged in wireless communication research and education for years. He has taught courses for undergraduates and graduates, such as Electro-Magnetic Theory, Principals of Telecommunication, Radio Propagation and Channel Characterization, and Introduction to Information Science and Technology. 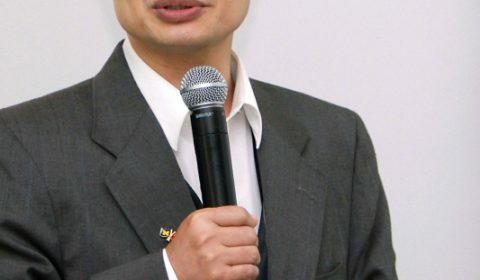 He has delivered lectures and seminars at many universities in Japan, the United States, Korea, Singapore, Canada, the United Kingdom, and Hong Kong. 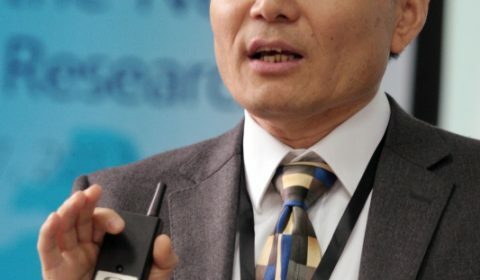 He presided over and participated in a series of programs, including Digital Cordless Communication System, Wireless Access Equipment and Technology, Point-to-Multipoint Microwave Communication System in Rural Areas, Wireless Information Communication Characteristics of Cellular and Indoor Communication, Small-Size Multi-Antenna Technique, Micro-Nano Technology Test Satellite, and China Digital Television Wireless Transmission Broadcasting Standards. He has received major academic awards such as the Scientific Development Award for National Defense, the National Technical Invention Award, the First Scientific Development Award from Beijing Municipal Government, and the Third Scientific Development Award from the State Educational Committee. 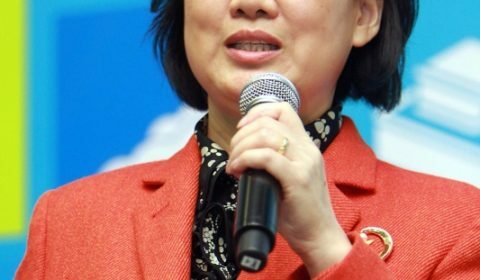 Gong is now the vice president of World Federation of Engineering Organizations and the chair of its Committee on Information and Communication. 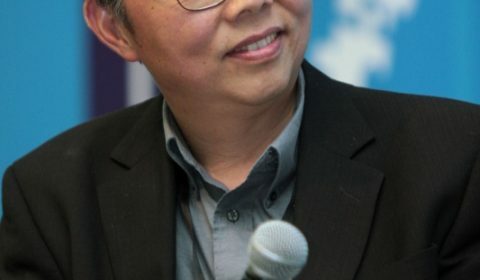 He also serves as vice president of the Chinese Institute of Electronics, vice president of the China Institute of Communications, and is a member of the standing committee of the China Association for Science and Technology. 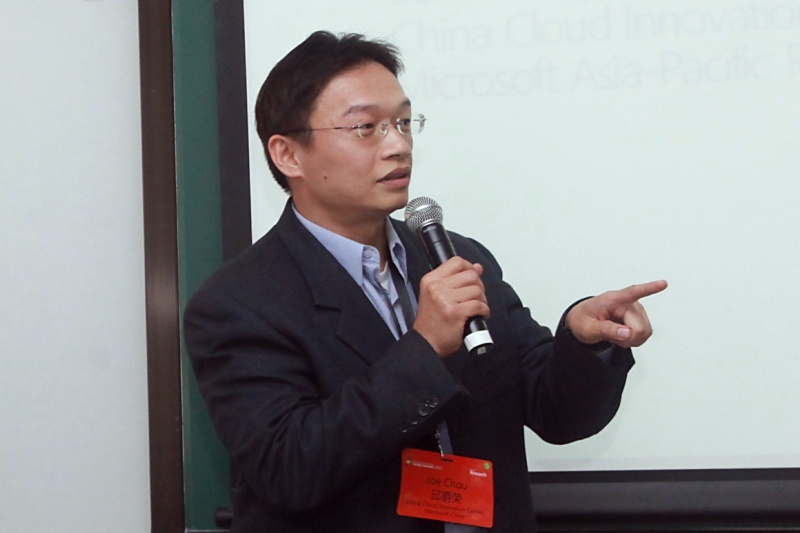 Baining Guo is assistant managing director of Microsoft Research Asia, where he also serves as the head of the graphics lab. 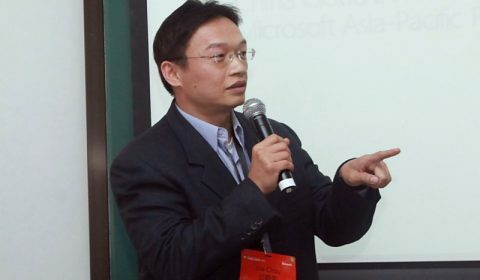 Prior to joining Microsoft in 1999, Guo was a senior staff researcher with the Microcomputer Research Labs of Intel Corporation in Santa Clara, California. Guo received Ph.D. and M.S. from Cornell University and B.S. from Beijing University. Guo has published extensively in computer graphics and visualization, in the areas of texture and reflectance modeling, texture mapping, translucent surface appearance, real-time rendering, and geometry modeling. He served on the editorial boards of IEEE Transactions on Visualization and Computer Graphics. He is currently on the editorial boards of Computer and Graphics and IEEE Computer Graphics and Applications. He also served on program committees of most major graphics and visualization conferences, including ACM Siggraph, IEEE Visualization, Eurographics Symposium on Rendering, Pacific Graphics, ACM Symposium on Virtual Reality Software and Technology, and ACM Symposium on Solid and Physical Modeling. Guo has been granted more than 30 US patents. Guo is a fellow of IEEE. Distinguished scientist at Microsoft Research, Anoop Gupta reports to Rick Rashid, senior vice president and global head of Microsoft Research. From 2007 to 2009, Gupta was corporate vice president (CVP) of Technology Policy and Strategy at Microsoft. During this period, Gupta also served as CVP of the Unlimited Potential Group and Education Products Group. From 2003 to 2007, he was CVP of Microsoft’s Unified Communications Group, leading the company’s efforts in business communications solutions (email, IM, VoIP, and conferencing). From 2001 to 2003, Gupta was technology assistant to Bill Gates. From 1997 to 2003, he led the Collaboration and Multimedia Group at Microsoft Research. 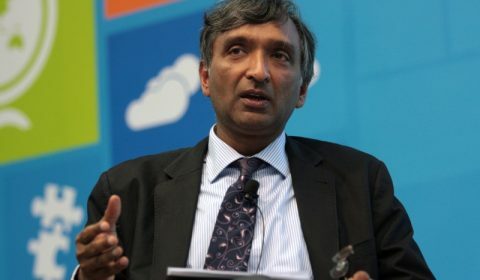 Before joining Microsoft in 1997, Gupta was professor of Computer Science at Stanford University for 11 years. In 1995, Gupta co-founded VXtreme Inc., which Microsoft acquired in 1997. Gupta has a B.Tech. from IIT Delhi in 1980 receiving President’s Gold Medal, and a Ph.D. in Computer Science from Carnegie Mellon University. 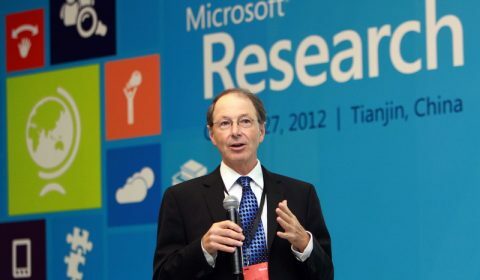 Vice president of Microsoft Research Connections, Tony Hey is responsible for worldwide university research collaborations with Microsoft researchers. Hey is also responsible for the multidisciplinary eScience research group within Microsoft Research. 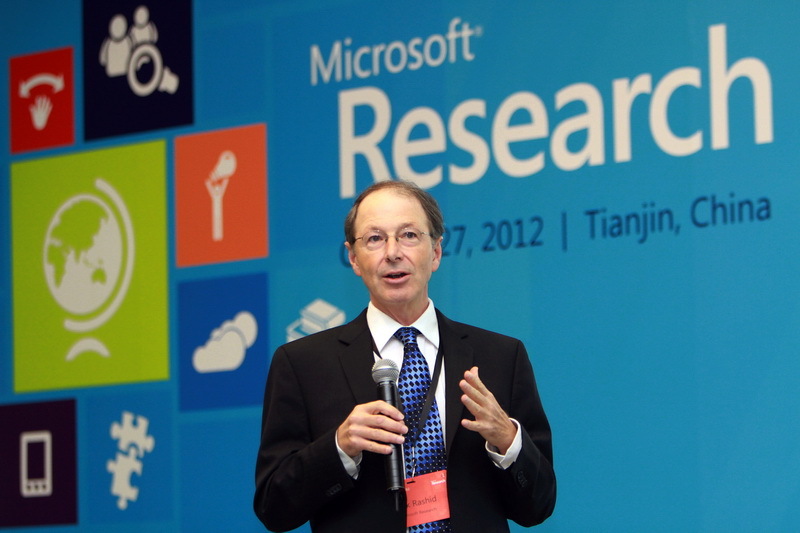 Before joining Microsoft, he served as director of the United Kingdom’s e-Science Initiative, managing the government’s efforts to build a new scientific infrastructure for collaborative, multidisciplinary, data-intensive research projects. Before leading this initiative, Hey led a research group in the area of parallel computing and was head of the School of Electronics and Computer Science, and dean of Engineering and Applied Science, at the University of Southampton. Steven C.H. 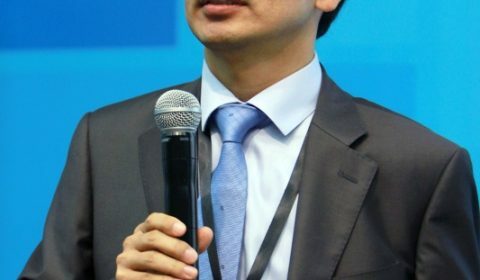 Hoi is currently an assistant professor of the School of Computer Engineering at Nanyang Technological University, Singapore. He received his bachelor’s degree from Tsinghua University, and his Ph.D. degree from the Chinese University of Hong Kong. 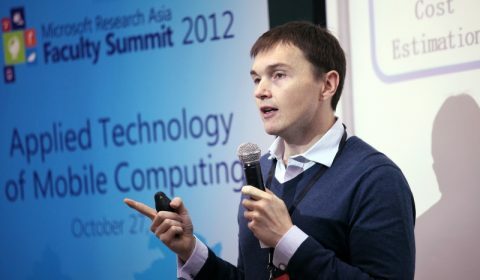 His current research interests are machine learning and data mining with application to tackle real-world challenges in several areas, including large-scale multimedia retrieval (image and video search), social media, web search and mining, computer vision and pattern recognition, and computational finance. He has published more than 100 referred papers in premier journals and top conferences in his research field. He has served on the committees of a number of conferences and workshops, including as general co-chair for ACM SIGMM Workshops on Social Media (WSM’09-11), program co-chair for the Asian Conference on Machine Learning (ACML’12), area chair, senior program chair, and program committee member for many international conferences and workshops in multimedia, machine learning, and data mining areas. 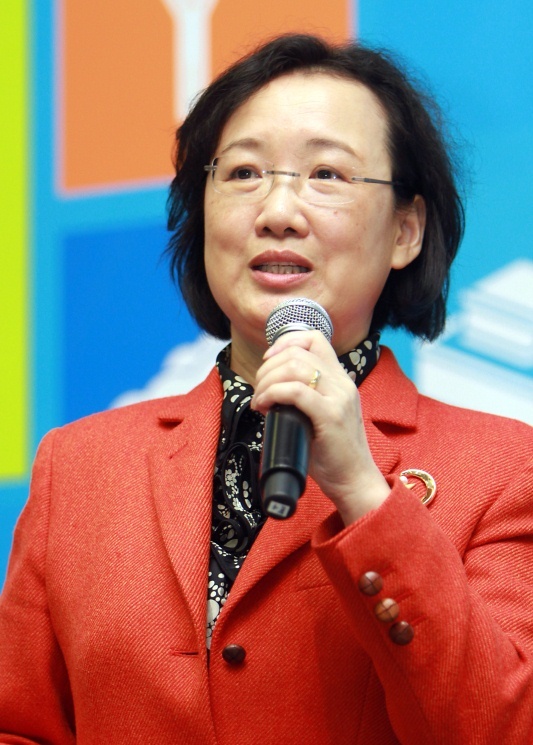 Hsiao-Wuen Hon is the managing director of Microsoft Research Asia, which was founded in 1998 and is located in Beijing, China. Hon oversees the lab’s research activities and collaborations with academia in the Asia Pacific region. An IEEE fellow and a distinguished scientist at Microsoft, Hon is an internationally recognized expert in speech technology. He serves on the editorial board of the international journal, Communications of the ACM. Hon has published more than 100 technical papers in international journals and at conferences. He co-authored Spoken Language Processing, which is a graduate-level textbook and reference book in the area of speech technology in many universities around the world. Hon holds three dozen patents in several technical areas. Hon has been with Microsoft since 1995. 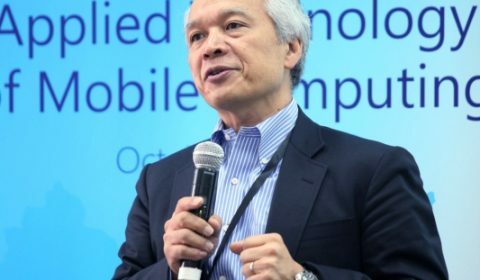 He joined Microsoft Research Asia in 2004 as a deputy managing director, responsible for research in Internet search, speech and natural language, system, wireless, and networking. 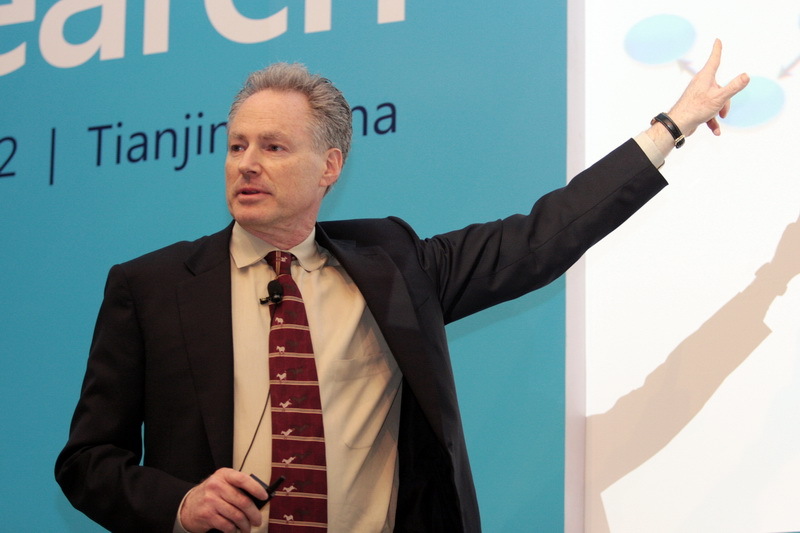 From 2005 to 2007, he founded and managed the Search Technology Center—the center for the development of the Bing Internet search engine in the Asia-Pacific region. 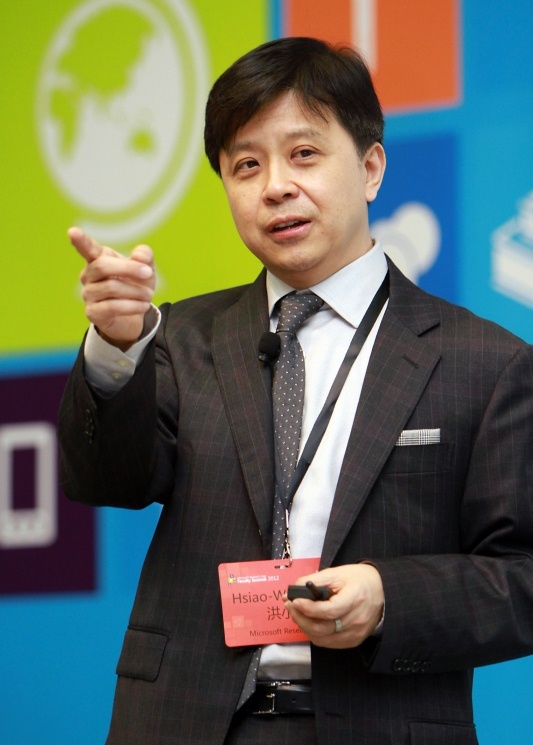 Prior to joining Microsoft Research Asia, Hon was the founding member and architect in Natural Interactive Services Division at Microsoft Corporation. Besides overseeing all architectural and technical aspects of the award winning Microsoft Speech Server product (Frost & Sullivan’s 2005 Enterprise Infrastructure Product of the Year Award, Speech Technology magazine’s 2004 Most Innovative Solutions Awards, and VSLive! 2004 Editors’ Choice Award), Natural User Interface Platform, and Microsoft Assistance Platform, he is also responsible for managing and delivering statistical learning technologies and advanced search. 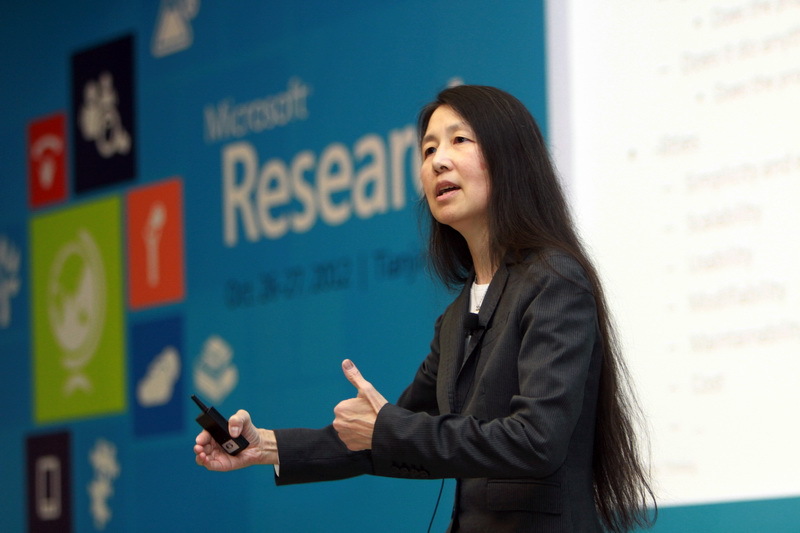 Hon joined Microsoft Research as a senior researcher at 1995 and has been a key contributor of Microsoft’s SAPI and speech engine technologies. He previously worked at Apple Computer, where he led research and development for Apple’s’ Chinese Dictation Kit. Hon received a Ph.D. degree in computer science from Carnegie Mellon University and a B.S. degree in electrical engineering from National Taiwan University. Hopcroft earned his B.S. degree in electrical engineering from Seattle University in 1961 and his Ph.D. degree in electrical engineering from Stanford University in 1964. He has honorary degrees from Seattle University, the National College of Ireland, the University of Sydney, St. Petersburg State University, Hong Kong University of Science and Technology, and Beijing Institute of Technology. He is an honorary professor of the Beijing Institute of Technology, Yunnan University, and an Einstein Professor of the Chinese Academy of Sciences. His current research interests are in the area of information capture and access. 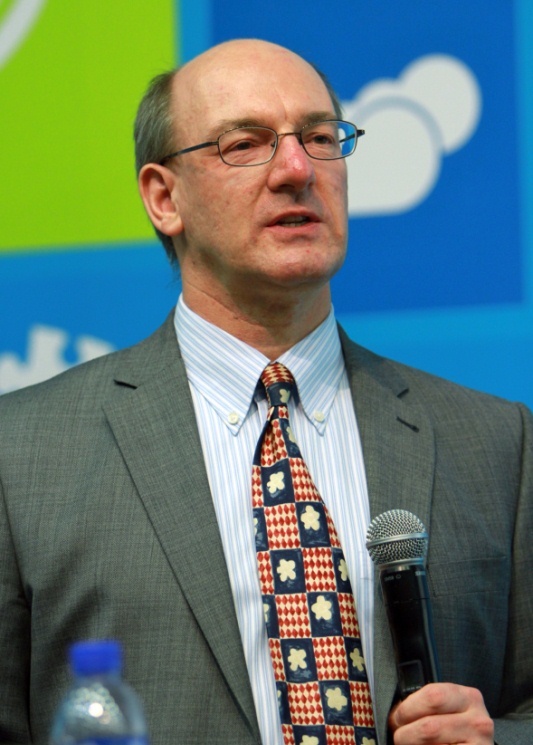 Hopcroft has served on numerous advisory boards, including the Air Force Science Advisory Board, the NASA Space Sciences Board, and the National Research Council’s Board on Computer Science and Telecommunications. In 1986, he was awarded the Turing Award by the Association for Computing Machinery, and, in 1992, President H. W. Bush appointed him to the National Science Board, which oversees the National Science Foundation. He is a member of the National Academy of Engineering, the National Academy of Science, and the American Academy of Arts and Sciences. He is a Fellow of the Association for Computing Machinery, the Institute of Electrical and Electronics Engineering, and the American Association for the Advancement of Science. Hopcroft serves on the Packard Foundation’s Science Advisory Board, the Microsoft Technical Advisory Board for Research Asia, and the advisory boards of IIIT Delhi and the College of Engineering at Seattle University. He has received numerous awards: the IEEE Harry Goode Memorial Award in 2005, the CRA Distinguished Service Award in 2007, the ACM Karl V. Karlstrom Outstanding Educator Award in 2009, and the IEEE von Neumann Medal in 2010. Polly Huang is a professor of the Electrical Engineering department at the National Taiwan University. Her primary research interest includes sensor network/system and multimedia network/system. A number of awards her team received recently include IPSN (Best Paper, 2012), ASPLOS (Best Poster, 2012), and SenSys (Best Presentation, 2010). 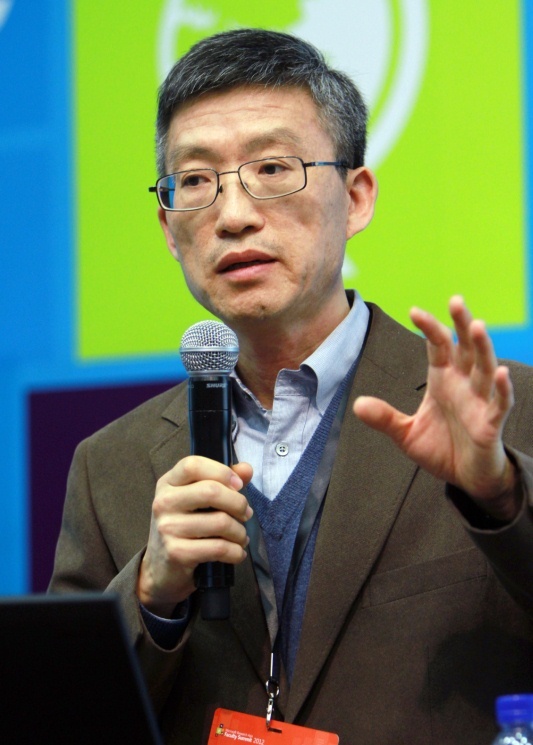 Huang has served as a TPC member for major ACM conferences, including ACM SenSys (2007, 2009, 2010, 2011), ACM/IEEE IPSN (2012, 2013), and ACM SIGCOMM (2007) and is currently an associate editor of the ACM Transactions on Sensor Networks. She also has experience organizing major conferences, serving as the TCP co-chair for ACM MM (2010), and a member of the organizing committee for ACM CONEXT (2009), SIGCOMM (2012, 2013), SenSys (2012), and IPSN (2013). Michael I. Jordan is the Pehong Chen Distinguished Professor in the Department of Electrical Engineering and Computer Science and the Department of Statistics at the University of California, Berkeley. He received his master’s in Mathematics from Arizona State University, and earned his Ph.D. in Cognitive Science in 1985 from the University of California, San Diego. He was a professor at the Massachusetts Institute of Technology from 1988 to 1998. His research in recent years has focused on Bayesian nonparametric analysis, probabilistic graphical models, spectral methods, variational methods, kernel machines and applications to problems in statistical genetics, signal processing, computational biology, information retrieval, and natural language processing. Jordan is a member of the National Academy of Sciences, the National Academy of Engineering, and the American Academy of Arts and Sciences. He is a Fellow of the American Association for the Advancement of Science. He has been named a Neyman Lecturer and a Medallion Lecturer by the Institute of Mathematical Statistics. He is an Elected Member of the International Institute of Statistics. He is a Fellow of the Association for the Advancement of Artificial Intelligence, Association of Computing Machinery, American Statistical Association , Control Systems Society, Institute of Mathematical Statistics, Institute of Electrical and Electronics Engineers, and the Society for Industrial and Applied Mathematics. Hong-Goo Kang received the B.S., M.S., and Ph.D. degrees from Yonsei University, Korea in 1989, 1991, and 1995, respectively. From 1996 to 2002, he was a senior technical staff member at AT&T Labs-Research, Florham Park, New Jersey. 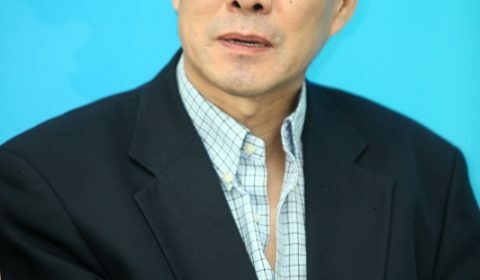 He is currently a professor at Yonsei University. His research interests include speech/audio signal processing, adaptive digital filter, and human computer interface. 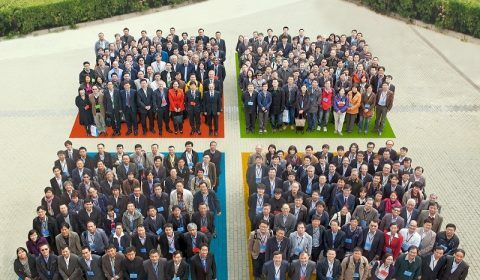 He actively participated in international collaboration activities on making new speech/audio coding standard algorithms hosted by ITU-T and MPEG. He is working on single-/multi-channel speech enhancement, universal speech/audio codec, speech/speaker recognition, text-to-speech, and multi-modal signal processing technologies with 20 graduate students. He was an associate editor of the IEEE Transactions on Audio, Speech, and Language Processing from 2005 to 2008. He has served on numerous conferences and program committees. He was vice chair of the technical program committee for INTERSPEECH2004, held in Jeju Island, Korea. He is a technical reviewing committee member of the ICASSP and INTERSPEECH conferences. Daisuke Kawahara received his B.S. and M.S. degrees in Electronic Science and Engineering from Kyoto University in 1997 and 1999, respectively. 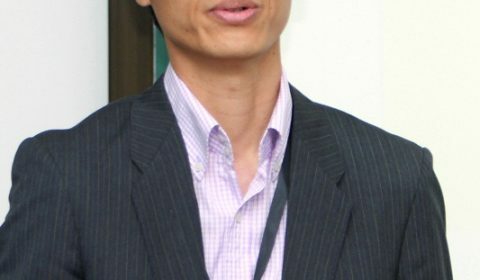 He obtained his Ph.D. in Informatics from Kyoto University in 2005. 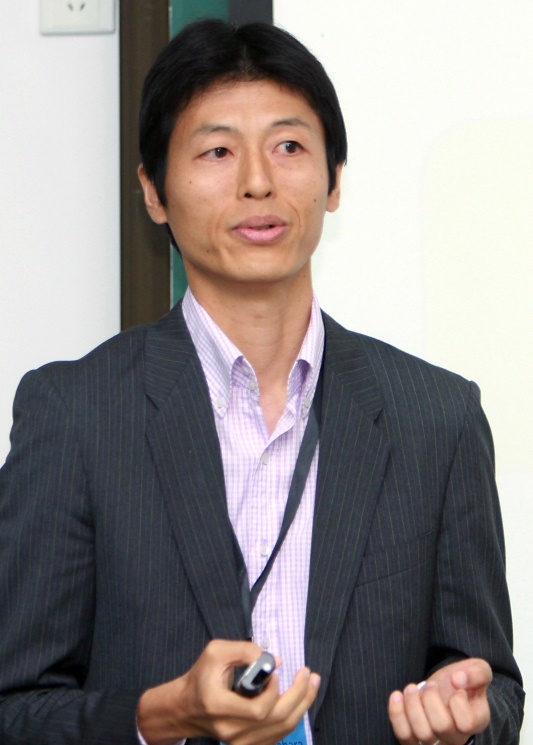 He is currently an associate professor of the Graduate School of Informatics at Kyoto University. His research interests include natural language processing, knowledge acquisition, and web mining. 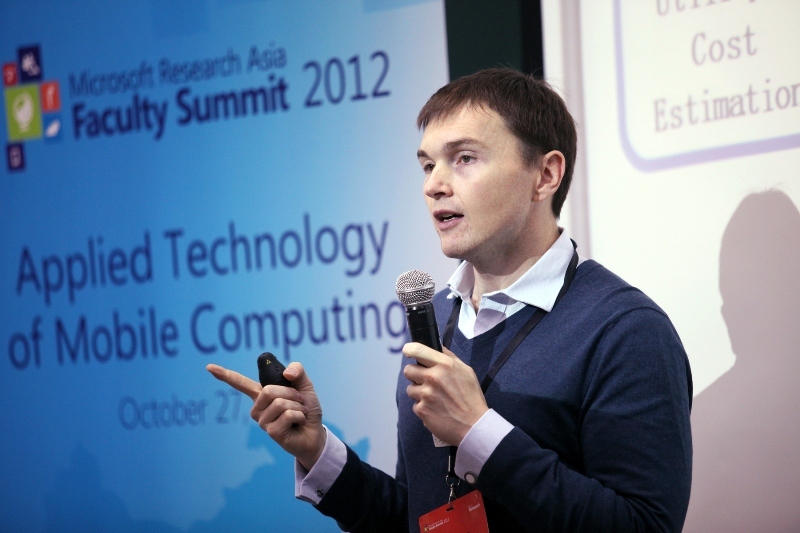 Nic Lane is a researcher at Microsoft Research Asia. 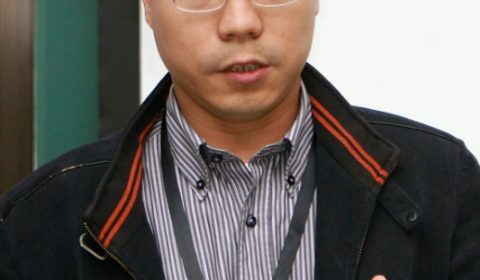 He is an experimentalist who likes to build prototype smartphone sensing systems based on well-founded computational models. Lane has a Ph.D. in computer science from Dartmouth College. His dissertation pioneered community-guided techniques for learning human behavior models better able to cope with real-world conditions containing diverse user populations. Dr. Peter Lee is the corporate vice president of Microsoft Research Redmond. In this role, he leads a computing research laboratory that advances the state of the art and collaborates with the company’s business groups to bring new technologies into products and services. The lab delivers product-focused research for Microsoft, and it also contributes to the broader scientific community by openly publishing basic research results. 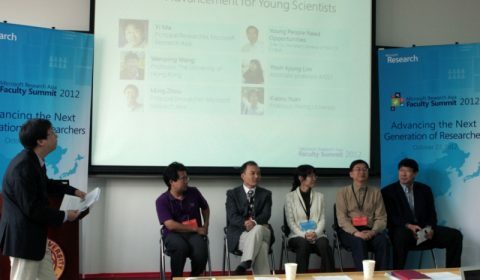 Lee’s primary goal is to partner with Microsoft’s business groups to translate the lab’s scientific and technical work into innovations that are high-value and potentially disruptive. 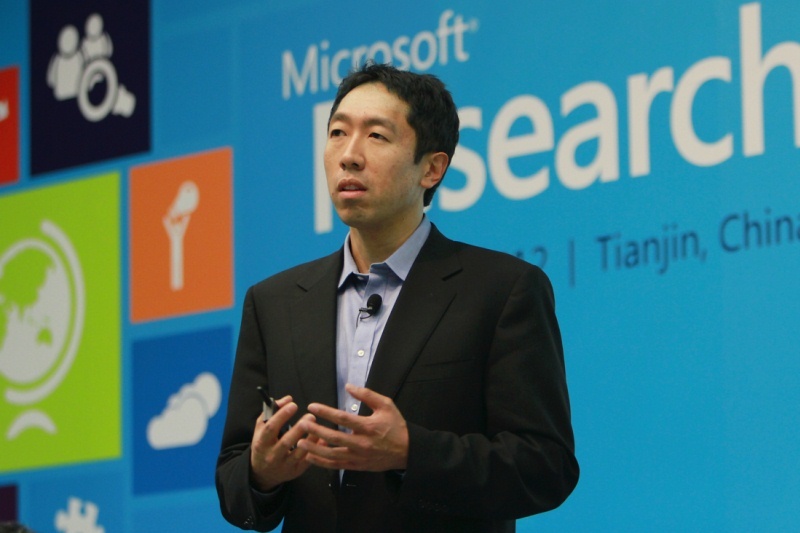 Lee was previously a Distinguished Scientist and managing director of Microsoft Research Redmond. 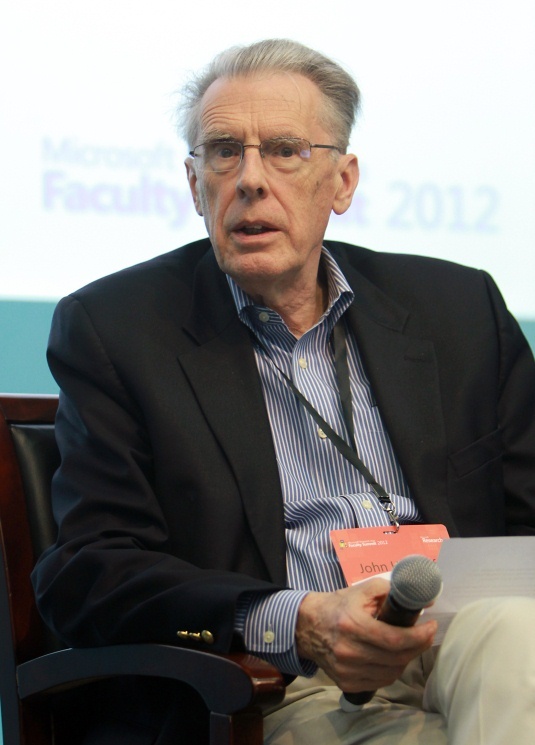 Before he joined Microsoft, he held key positions in both government and academia. 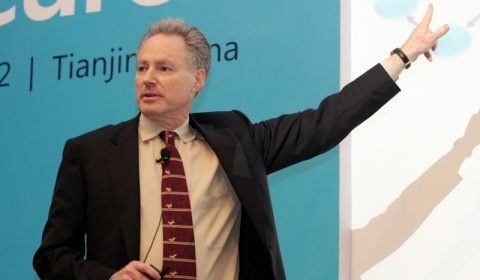 His most recent position was at the Defense Advanced Research Projects Agency (DARPA) where he challenged conventional Department of Defense (DoD) approaches to computer science. 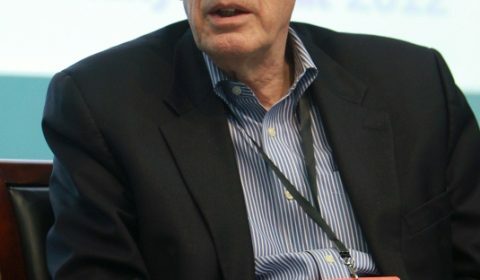 One of the highlights of his work at DARPA was the DARPA Network Challenge, which mobilized millions of people worldwide in a hunt for red weather balloons—a unique experiment in social media and open innovation that fundamentally altered the thinking throughout the DoD on the power of social networks. 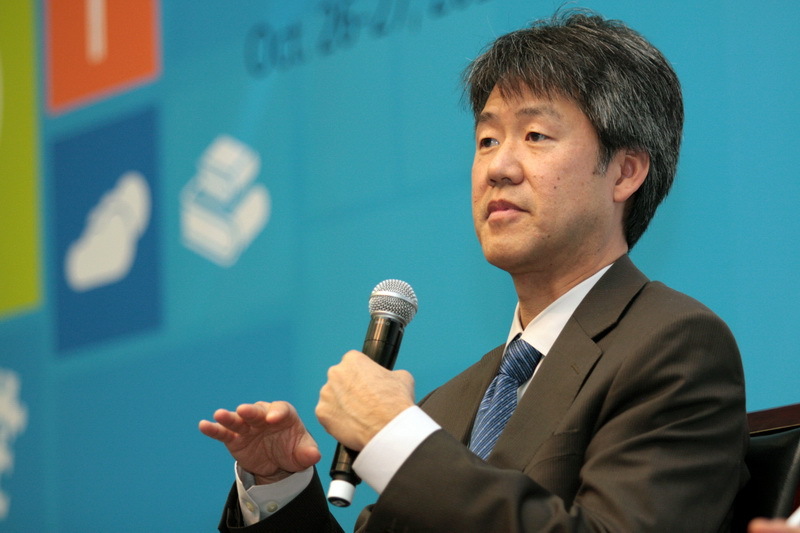 Prior to joining DARPA, Lee was head of Carnegie Mellon University’s (CMU) nationally top-ranked computer science department. He had also served as the university’s vice provost for research. 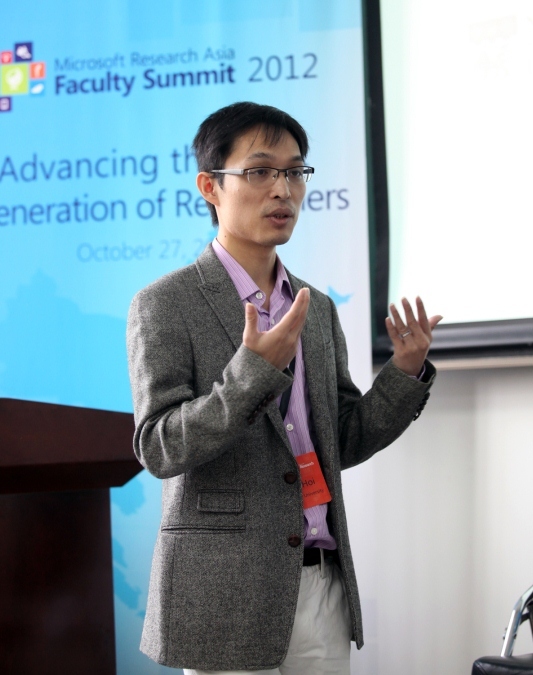 At CMU, he carried out research in software reliability, program analysis, security, and language design. 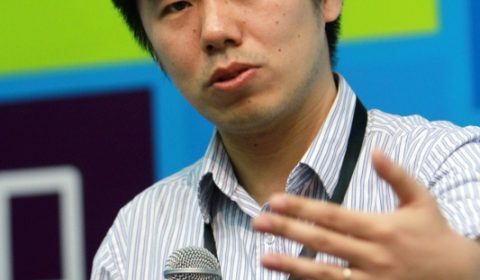 He is well-known for his co-development of proof-carrying code techniques for enhanced software security, and has tackled problems as diverse as programming for large-scale modular robotics systems and shape analysis for C programs. 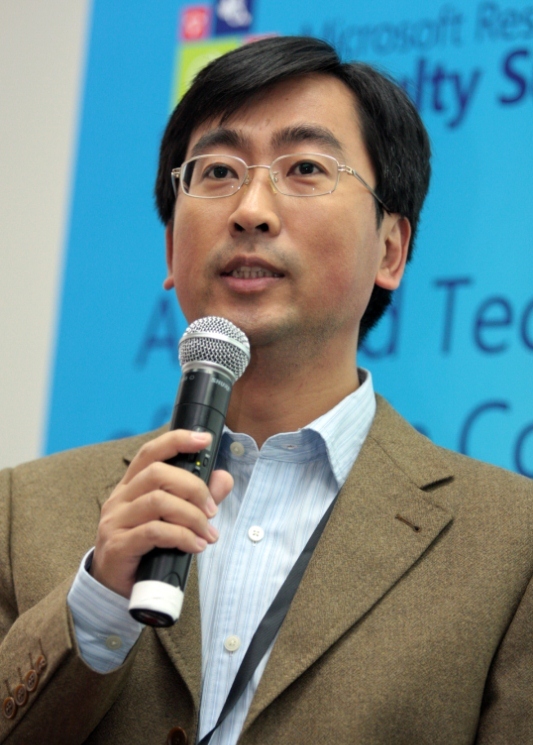 Seungyong Lee is a professor of Computer Science and Engineering at the Pohang University of Science and Technology (POSTECH), Korea. He received the B.S. 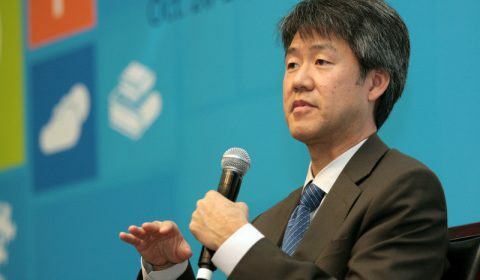 degree in Computer Science and Statistics from Seoul National University in 1988 and the M.S. and Ph.D. degrees in Computer Science from the Korea Advanced Institute of Science and Technology (KAIST) in 1990 and 1995, respectively. From 1995 to 1996, he worked at the City College of New York as a postdoctoral researcher. 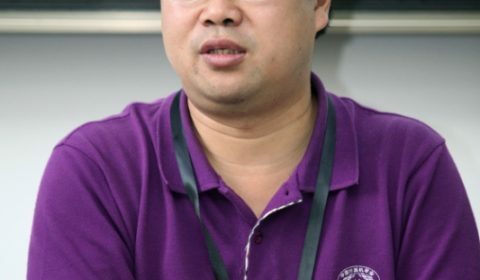 Since 1996, he has been a faculty member of POSTECH, where he leads the Computer Graphics Group. During his sabbatical years, he worked at MPI Informatik (2003–2004) and the Creative Technologies Lab at Adobe Systems (2010–2011). His current research interests include image and video processing, 3-D scene reconstruction, and non-photorealistic rendering. 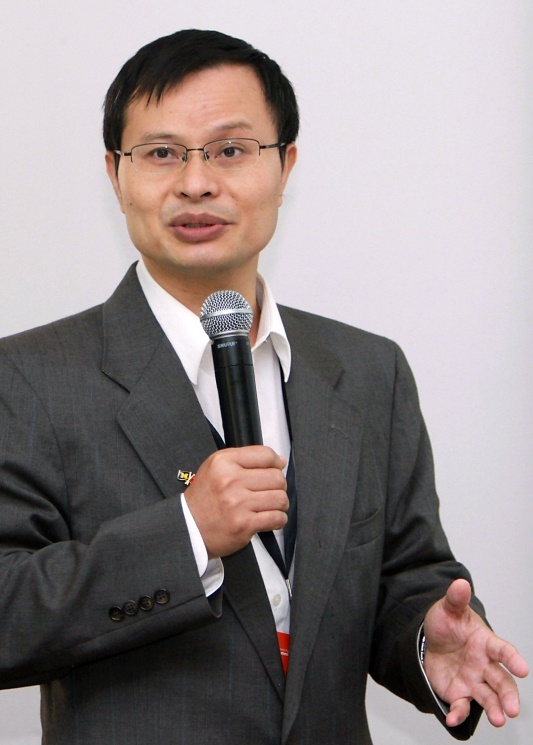 Weiping Li is dean of the School of Information Science and Technology at the University of Science and Technology of China (USTC). He received his B.S. degree from USTC in 1982 and his M.S. and Ph.D. degrees from Stanford University in 1983 and 1988 respectively—both in electrical engineering. In 1987, he joined the faculty of Lehigh University as an assistant professor in the Department of Electrical Engineering and Computer Science. In 1993, he was promoted to associate professor with tenure. In 1998, he was promoted to full professor. From 1998 to 2010, he worked in several high-tech companies in the Silicon Valley with technical and management responsibilities. In March of 2010, he was appointed his current position at USTC. Li has been elected to Fellow of IEEE for contributions to image and video coding algorithms, standards, and implementations. He served as the editor-in-chief of IEEE Transactions on Circuits and Systems for Video Technology. He served as a guest editor for a special issue of IEEE Proceedings. He served as the chair of several Technical Committees in IEEE Circuits and Systems Society and IEEE International Conferences. He served as the chair of Best Student Paper Award Committee for SPIE Visual Communications and Image Processing Conference. Li has made many contributions to International Standards. His inventions on Fine Granularity Scalable Video Coding and Shape Adaptive Wavelet Coding have been included into the MPEG-4 International Standard. 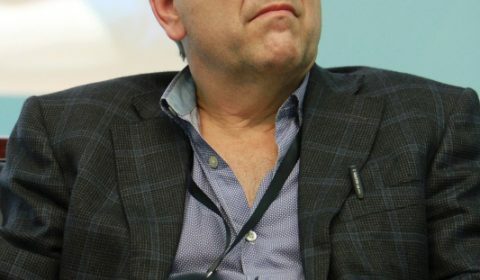 He served as a member of MPEG (Moving Picture Experts Group) of ISO (International Standard Organization) and an editor of MPEG-4 International Standard. He served as a founding member of the Board of Directors of MPEG-4 Industry Forum. As a technical advisor, he also made contributions to the Chinese Audio Video coding Standard and its applications. Weiping Li received a Certificate of Appreciation from ISO/IEC as a project editor in development of International Standard in 2004, the Spira Award for Excellence in Teaching in 1992 at Lehigh University, and the first Guo Mo-Ruo Prize for Outstanding Student in 1980 at USTC. Youn-kyung Lim is an associate professor in the Department of Industrial Design at KAIST in South Korea. She received her Ph.D. at the Institute of Design at the Illinois Institute of Technology (IIT) in Chicago, Illinois, and holds a Master of Design in Human-Centered Design from the same university. She holds a B.S. in Industrial Design from KAIST, where she now works as a faculty member. She has been participating in service activities for the CHI community and the design community as a program committee member and as an organizing committee member for top international conferences. 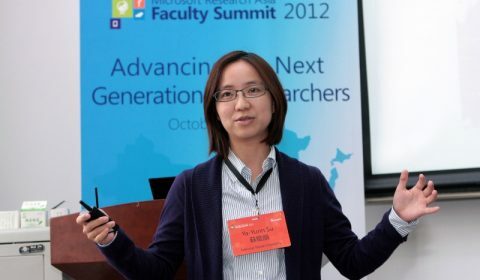 She is also a recipient of the Microsoft Research New Faculty Award in 2009. Her current research focus has been in the areas of experience-centered design and aesthetics of interaction, as well as prototyping in interaction design—especially for creative interaction design. 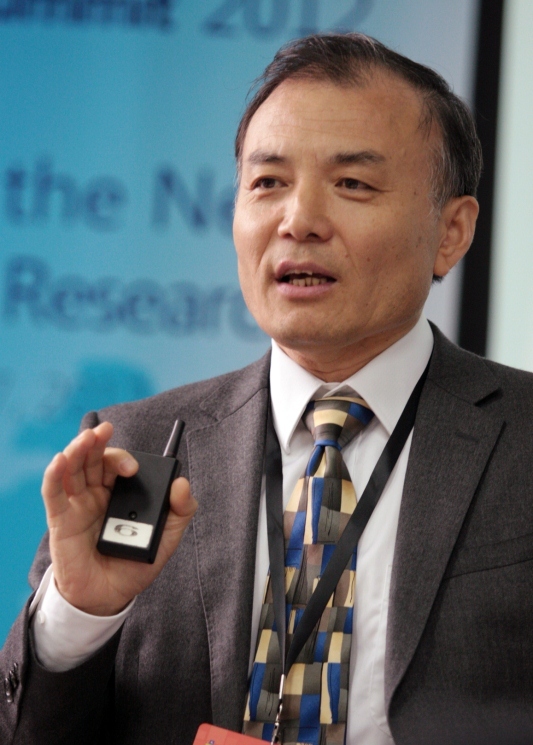 Ligang Liu is a professor at the University of Science and Technology of China. He received his B.Sc. 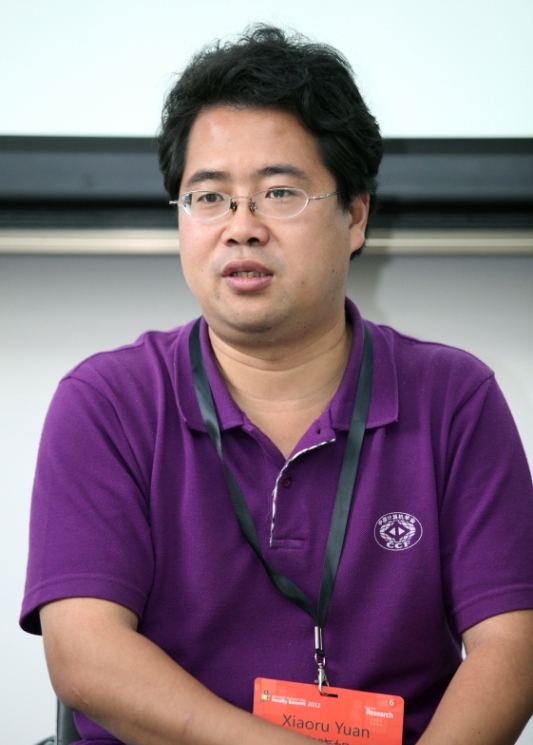 in applied mathematics (1996) and his Ph.D. in computer graphics (2001) from Zhejiang University, China. 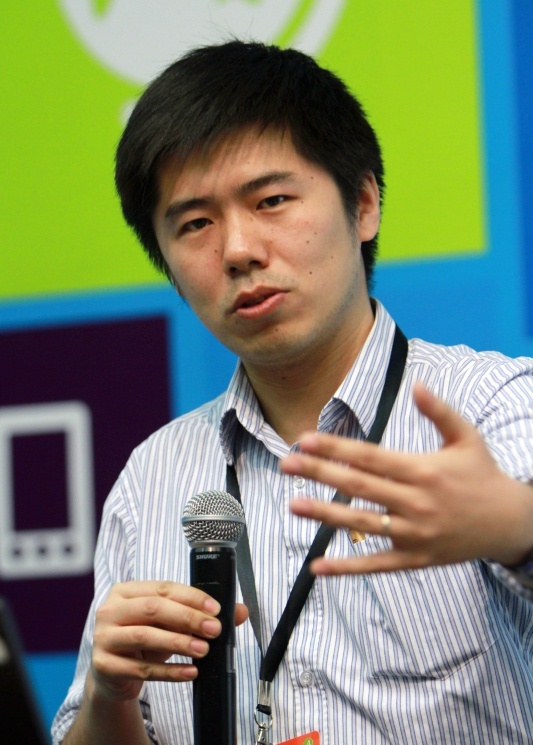 Between 2001 and 2004, he worked at Microsoft Research Asia. 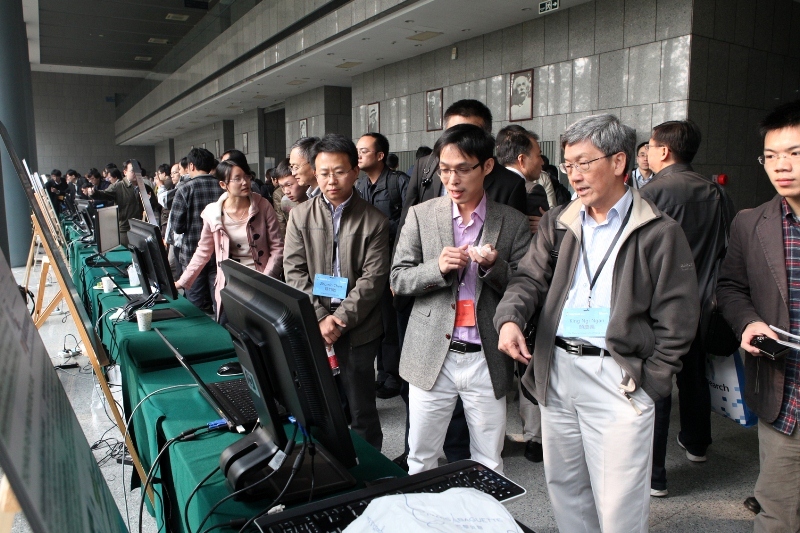 Then he worked at Zhejiang University as an associate professor and professor respectively during 2004 and 2012. He paid an academic visit to Harvard University during 2009 and 2011. His research interests include digital geometric processing, computer graphics, image processing, and compressed sensing. 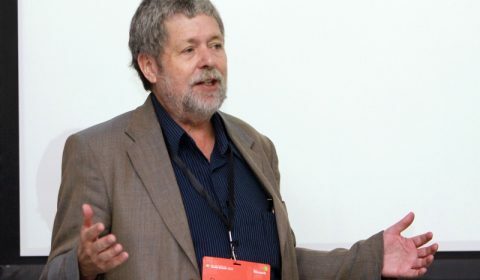 He has published more than 50 research papers in the area of geometry processing and image processing (including seven Siggraph or Siggraph Asia papers and four Eurographics papers). 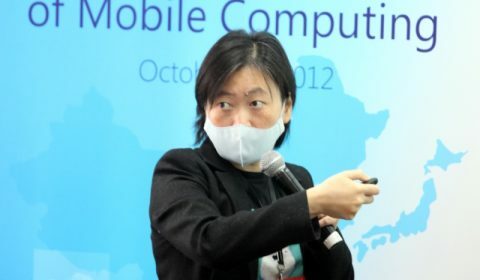 Yi Ma is a researcher and the manager of the Visual Computing Group at Microsoft Research Asia in Beijing, China. He is interested in studying mathematical principles behind the processing and understanding of visual data such as images and videos. In particular, he recently worked on high-dimensional data clustering and classification, compression-based image segmentation, robust face recognition via sparse representation, and error correction for high-dimensional signals and matrices. 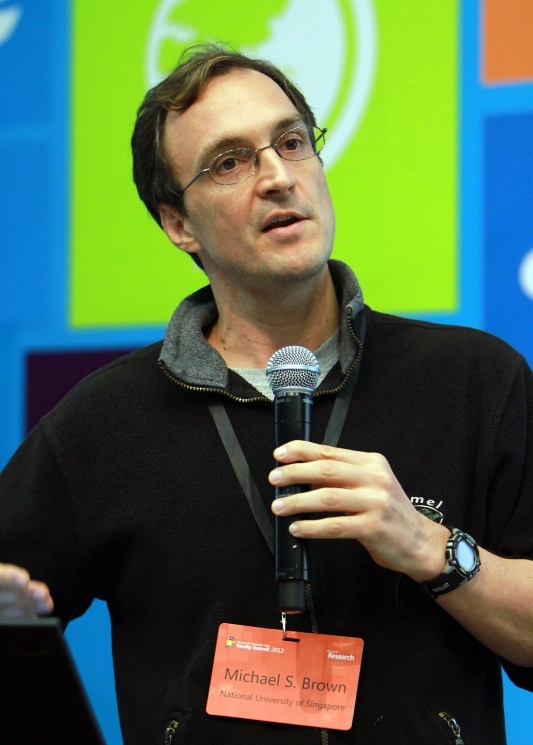 Before joining Microsoft Research Asia in January 2009, he was a tenured associate professor at the University of Illinois at Urbana-Champaign since 2000. Andrew Ng is an associate professor of Computer Science at Stanford University, and a co-founder of Coursera, which works with top universities to offer a high quality education to anyone in the world, for free. He is also the director of the Stanford Artificial Intelligence Lab, the main artificial intelligence (AI) research organization at Stanford, home to 15 professors and approximately 150 students/post docs. In 2008, together with Stanford Center for Professional Development, he started Stanford Engineering Everywhere (SEE), Stanford’s first major attempt at free, online distributed education, which made publicly available approximately a dozen Stanford engineering classes. More than one million people have viewed SEE’s videos. At Stanford, he led the development of the ml-class/db-class online education platforms, which were the precursor to the Coursera platform. In fall semester 2011, he was the instructor of a machine-learning class that was one of Stanford’s first massive online courses, with an enrollment of more than 100,000 students. In addition to his work with online education, Ng also works on machine learning and building AI through large-scale brain simulations. Xiangshi Ren is a professor in the School of Information and director of the Center for Human-Computer Interaction at Kochi University of Technology. 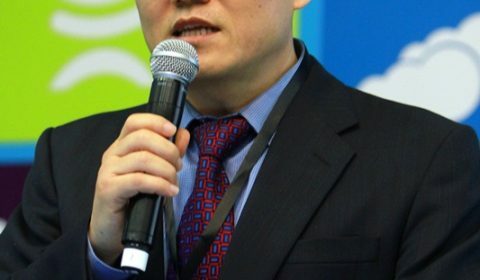 He is founding president of the International Chinese Association of Computer Human Interaction (ICACHI). 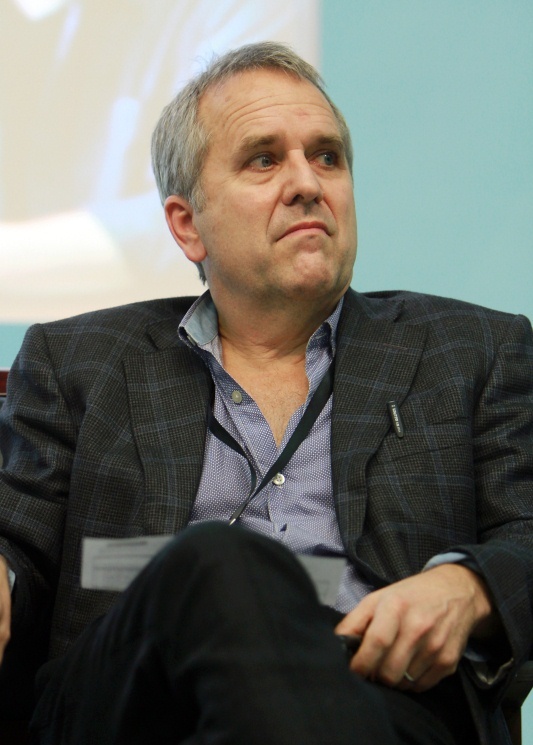 He was a visiting faculty researcher at IBM Research (Almaden) and visiting professor at the University of Toronto. He is a senior member of the ACM and of the IEEE, as well as a member of the IPSJ, the IEICE, and the Human Interface Society. Ren has been working on fundamental studies in the field of human-computer interaction (HCI) for more than 20 years. 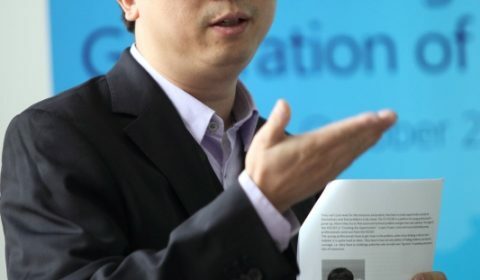 His research interests include all aspects of human-computer interaction, particularly the creation of human performance models, pen-based interaction, multi-touch interaction, eye-based interaction, haptic interaction, user interface design for immersive virtual environments, Chinese and Japanese character input, and 2-D/3-D gesture input. Itiro Siio is a professor in the Faculty of Science at the Ochanomizu University. 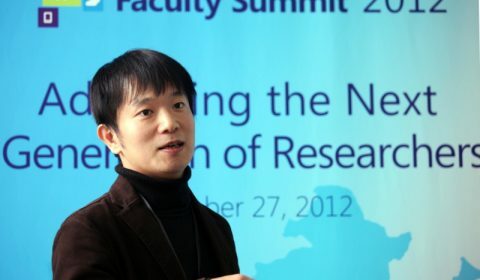 Prior to his current position, he worked for eight years in the Faculty of Engineering at Tamagawa University, serving concurrently for one year as a visiting researcher at Georgia Institute of Technology. Before that, he worked for 13 years at IBM Research, Tokyo Research Laboratory. 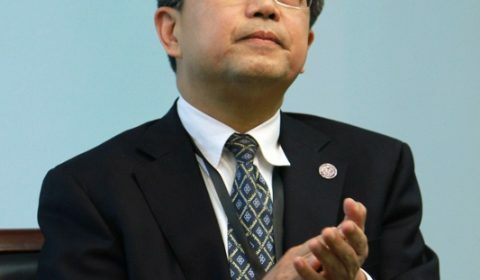 He received his Ph.D. degree in Engineering from Tokyo Institute of Technology in 1984. His recent focus is on applications of ubiquitous computing in everyday life. Junehwa Song is a professor and vice-head of the Department of Computer Science and a KAIST-Chair Professor of KAIST, Korea. 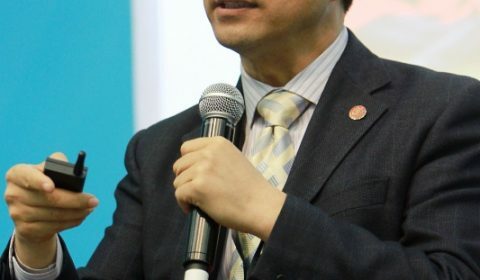 He is also an affiliated professor of the Graduate School of Culture Technology, Graduate School of Knowledge Service Engineering, Graduate School of Web Science and Technology, and KAIST Institute for Entertainment Engineering. Prior to joining KAIST, he worked as a research staff member at IBM T.J. Watson Research Center, Yorktown Heights, New York. He received his Ph.D. in Computer Science from the University of Maryland at College Park in 1997, and B.S. in Computer Science from Seoul National University in 1988. 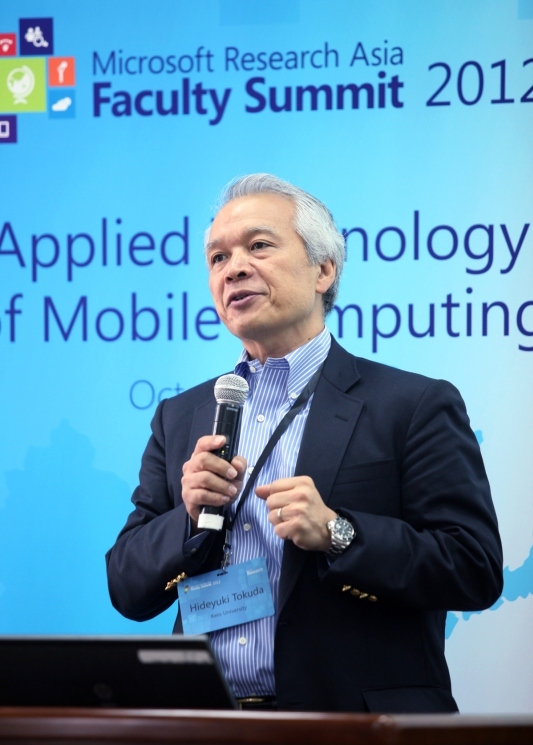 Prof. Song’s research interests include mobile and pervasive computing and systems, social computing, Internet systems, cloud computing, and multimedia systems. He has been extensively publishing in related areas and has served on program committees for major conferences such as ACM MobiSys, ACM UbiComp, ACM HotMobile, IEEE PerCom, and ACM Multimedia. He has been granted more than 50 patents. 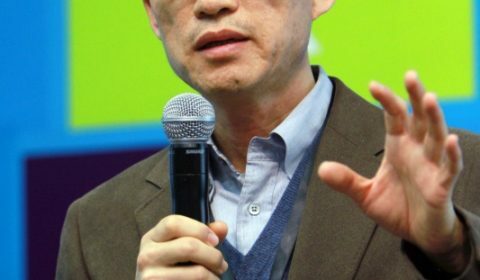 He is the recipient of the KAIST Award of Intellect of New Frontier and the KAIST Technology Innovation Award. 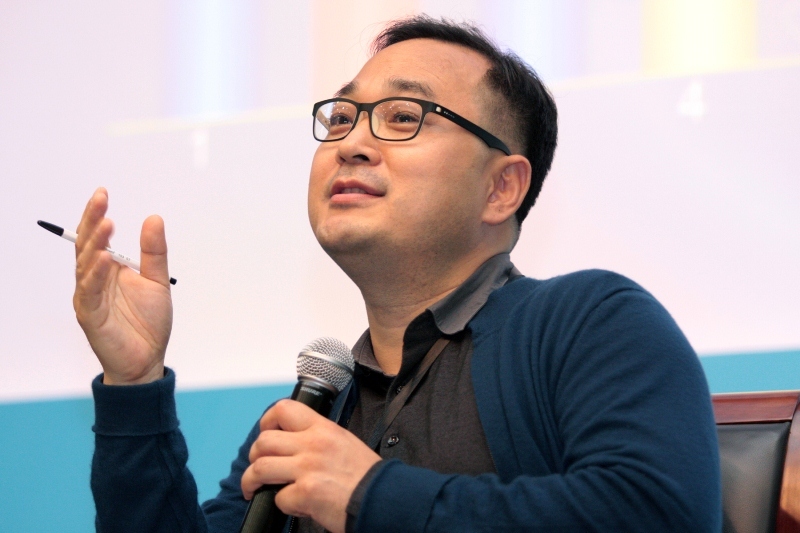 Song and his team at KAIST have been developing a user experience-oriented mobile software platform for future smartphones and other mobile devices to enable new mobile user experiences with advanced applications, which is an integral part of the effort of the Ministry of Knowledge Economy, Korea, to develop future mobile platforms. 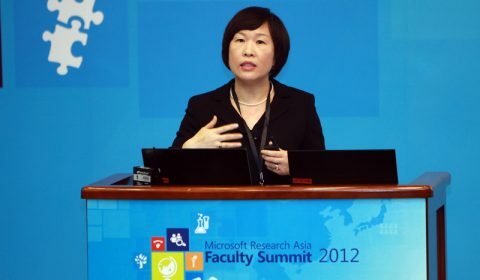 Senior director at Microsoft Research Asia, Lolan Song is responsible for academic collaboration in the Asia-Pacific region. As Microsoft’s fundamental research arm in the Asia-Pacific region, building long-term and mutually beneficial relations with academia is vital to Microsoft Research Asia. 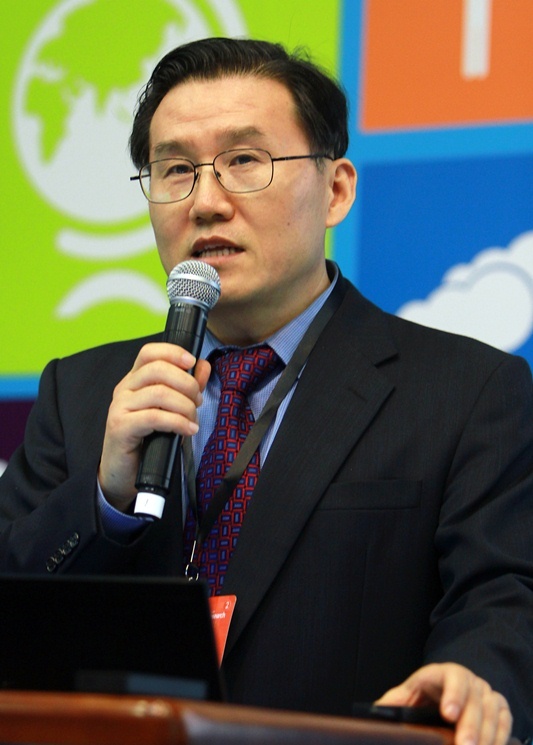 Lolan Song leads a regional team with members based in China, Japan, Korea, and Taiwan, which engages universities, research institutes, and certain relevant government agencies. She establishes strategies and directions, identifies business opportunities, and designs various programs and projects. 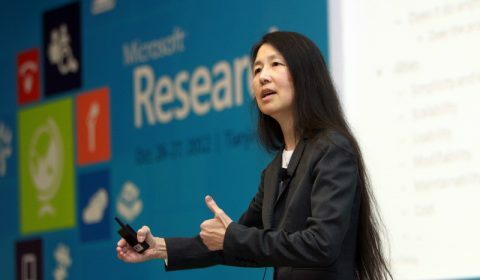 Her team works with students, researchers, faculty members, and university administrators to build strong partnerships and also works closely with the groups at Microsoft Research Asia. Ya-Yunn Su received her B.A. degree in Information Management from National Taiwan University in 2001, and her M.S. and Ph.D. degrees in Computer Science and Engineering from the University of Michigan in 2004 and 2008, respectively. After graduation, she joined the Autonomous and Scalable Distributed Systems Group at NEC Labs in Princeton, New Jersey, as a research staff member. After almost two years with NEC Labs, she joined the faculty of Computer Science and Information Engineering Department at National Taiwan University, where she has been an assistant professor since August 2010. 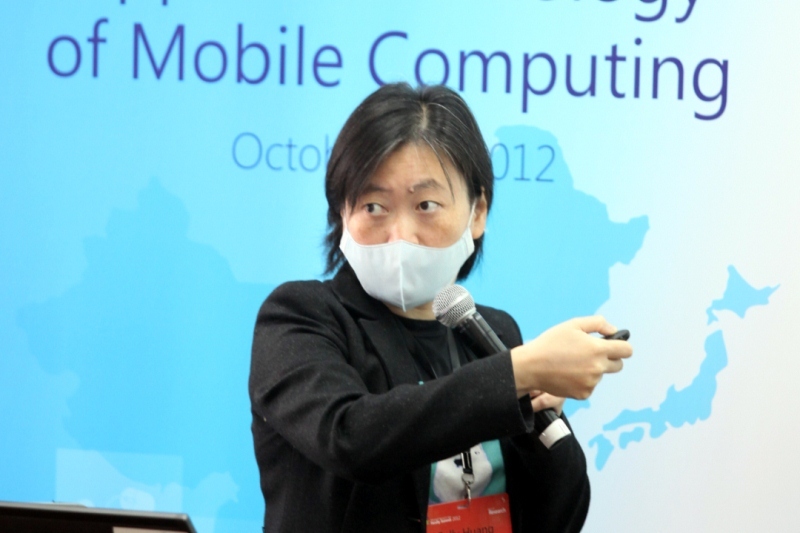 Her research interests include operating systems, systems management, mobile computing, and cloud computing. Eijiro Sumii is an associate professor in the Graduate School of Information Sciences, Tohoku University, Japan. 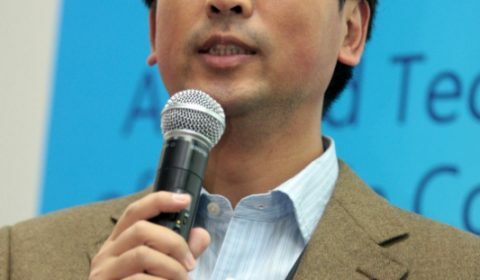 He graduated from, and was an assistant professor at, the University of Tokyo, and was a research associate at the University of Pennsylvania. His main research domain is the foundational theory of programming languages and computational models, with publications in Journal of the ACM, Theoretical Computer Science, ACM POPL, and IEEE LICS, among others. He has served on the committees of more than 30 conferences, symposiums, and workshops in the United States, Europe, and Japan. He is also interested in functional programming and received with his colleagues the first place in the ICFP Programming Contest in 2000 and 2002, and chaired the 2011 contest. 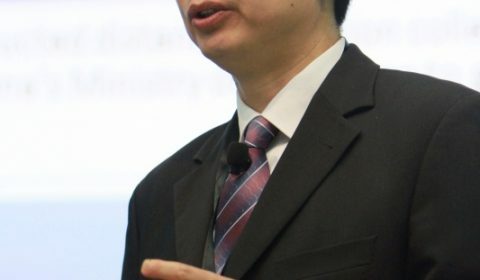 A senior researcher at Microsoft Research Asia, Tan was previously a professor of Electrical and Computer Engineering with courtesy appointments in Mechanical Engineering and Psychological Sciences at Purdue University. Her research focuses on haptic human-machine interfaces and haptic perception. She has published more than 100 peer-reviewed journal and conference articles in haptics research. She is known internationally as a leading expert on haptics psychophysics, taking a perception-based approach to solving engineering problems. She is frequently invited to give keynote speeches at international conferences and research institutions, educating a broad audience on haptics and its emerging applications in human computer interaction, robotics, medicine and education. Tan received her bachelor’s degree in Biomedical Engineering from Shanghai Jiao Tong University, P.R. China. She earned her master’s and doctorate degrees, both in Electrical Engineering and Computer Science, from Massachusetts Institute of Technology (MIT). She was a Research Scientist at the MIT Media Lab before joining the faculty at Purdue’s School of Electrical and Computer Engineering in 1998. She has held a McDonnell Visiting Fellowship at Oxford University, a visiting associate professorship in the Department of Computer Science at Stanford University, a guest researcher position in the Institute of Life Science and Technology at Shanghai Jiao Tong University, and a visiting researcher position at Microsoft Research Asia. Stewart Tansley is a director at Microsoft Research Connections. 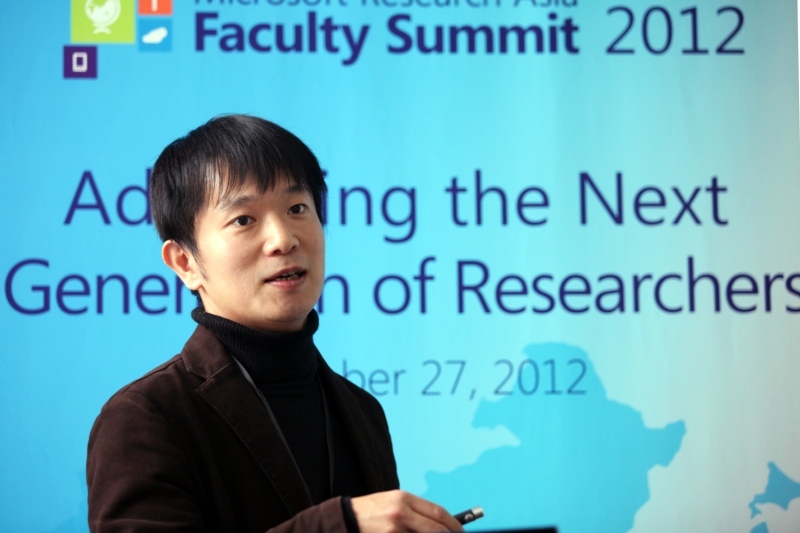 He is responsible for academic research partnerships in Natural User Interface (NUI). He was acting product manager for the Kinect for Windows software development kit (SDK) from Microsoft Research in 2011. 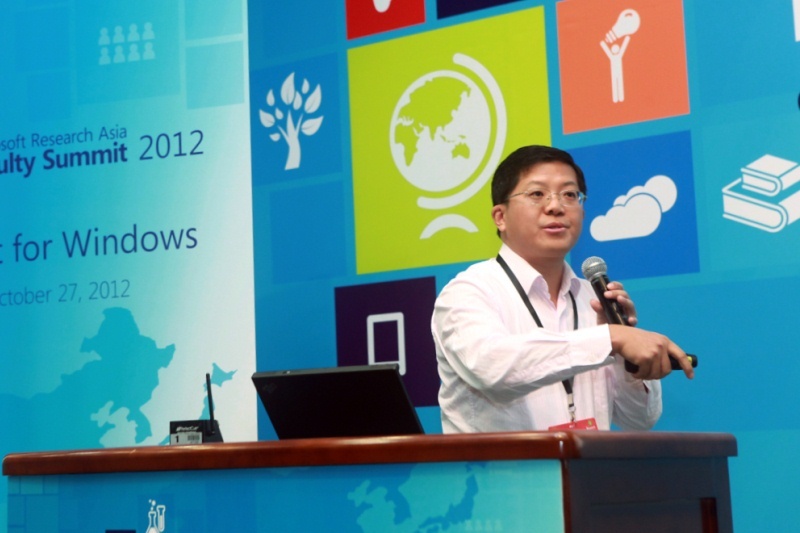 Before Microsoft, he spent 13 years in the telecommunications and satellite industry, focusing on technology transfer. His Ph.D. is in Artificial Intelligence applied to Engineering, from Loughborough University, UK. He has published a variety of papers on robotics, artificial intelligence, and network management, and has several patents. He co-authored a book on software engineering for artificial intelligence applications and co-edited The Fourth Paradigm, a book of visionary essays on the emerging field of data-intensive science. Candace Thille is the director of the Open Learning Initiative at Carnegie Mellon University, a position she has held since the program’s inception in 2002. She is also the co-director of OLnet. Jointly run by Carnegie Mellon and the Open University in the United Kingdom, OLnet is an international open educational research network. Thille’s focus of research and development is in applying results from the learning sciences to the design, implementation, and evaluation of open web-based learning environments. Thille serves as a redesign scholar for the National Center for Academic Transformation, as a Fellow of International Society for Design and Development in Education, on the technical advisory committee for the American Association of Universities STEM initiative, and on the Global Executive Advisory Board for Hewlett Packard’s Catalyst Initiative. She has served on the working group at the U.S. Department of Education to co-author the National Education Technology Plan and on the working group of the President’s Council of Advisors on Science and Technology to write the Engage to Excel report on improving STEM (science, technology, engineering, and mathematics) higher education for the Obama Administration. His research interests include ubiquitous computing systems, smart spaces, sensor networks, distributed real-time operating systems, and embedded systems. 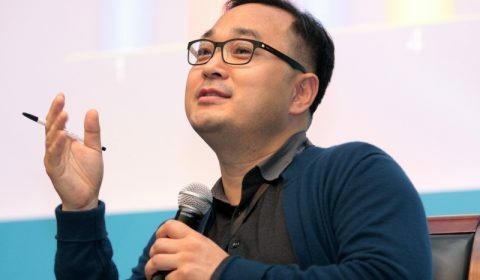 He has created many distributed real-time operating systems and software tools, such as Real-Time Mach, the ARTS Kernel, Shoshin, Scheduler 1-2-3, and ARM (Advanced Real-Time Monitor). He also created many ubiquitous computing (UbiComp) platforms, such as Smart Space Lab., Smart Furniture, uPhoto, uTexture, and uPlatea. Because of his research and educational contributions, he was awarded the Motorola Foundation Award, the IBM Faculty Award, the Ministry of Economy, Trade and Industry Award, and the Ministry of Internal Affairs and Communication Award in Japan. 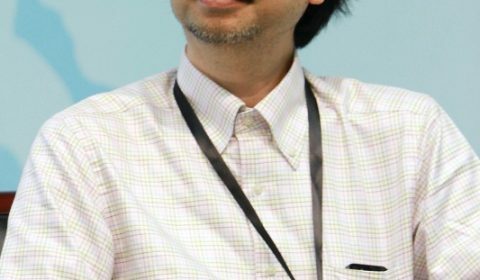 He is a corresponding member of the Science Council of Japan, IPSJ (Information Processing Society of Japan) Fellow, JSSST (Japan Society for Software Science and Technology) Fellow and a member of the IEEE, ACM, IPSJ, JSSST, IEICE. He was a general chair of UbiComp2005 in Tokyo, a general co-chair of Pervasive2009 in Nara, and a program co-chair of Pervasive2012 in Newcastle. Li-Chun Wang received the B.S. degree from National Chiao Tung University, Taiwan in 1986, the M.S. degree from National Taiwan University in 1988, and the Ms.Sci. and Ph.D. degrees from the Georgia Institute of Technology, Atlanta, in 1995, and 1996, respectively, all in electrical engineering. From 1996 to 2000, he was with AT&T Laboratories, where he was a senior technical staff member in the Wireless Communications Research Department. Currently, he is at National Chiao Tung University, Hsinchun Taiwan. His current research interests are in the areas of adaptive/cognitive wireless networks, radio network resource management, cross-layer optimization, and cooperative wireless communications networks. 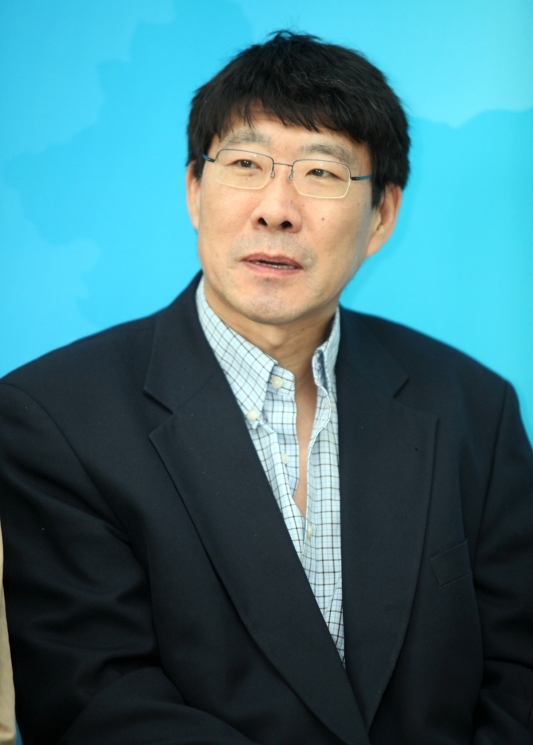 Wang was a co-recipient of the 1997 IEEE Jack Neubauer Best Paper Award. He has published more than 150 journal and international conference papers and holds eight U.S. patents. Wenping Wang is professor and head of the Computer Science Department at the University of Hong Kong. His research covers computer graphics, visualization, and geometric computing. He has recently focused on mesh generation and surface modeling for architectural design. He is journal associate editor of Computer Aided Geometric Design (CAGD), Computers & Graphics (CAG), and IEEE Transactions on Visualization and Computer Graphics (TVCG); program co-chair of several international conferences, including Pacific Graphics 2003, ACM Symposium on Physical and Solid Modeling (SPM 2006), and International Conference on Shape Modeling (SMI 2009); and conference chair of Pacific Graphics 2012 and SIGGRAPH Asia 2013. 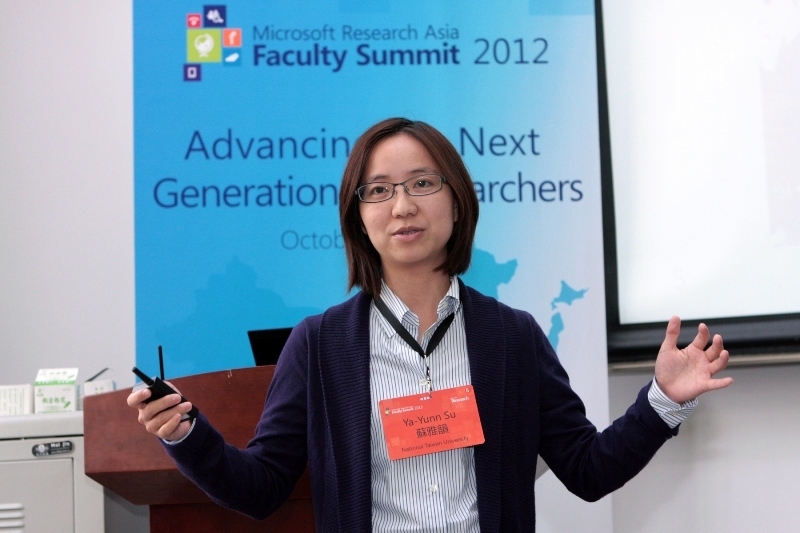 Yichen Wei is a lead researcher in the Visual Computing group, Microsoft Research Asia. His research interests include face recognition, face alignment, object detection, and saliency analysis. He has been working on Kinect since 2009 and contributed to several face-related techniques in the product. The President’s Professor of Computer Science and Head of the Computer Science Department at Carnegie Mellon University, Jeannette M. Wing received her S.B., S.M., and Ph.D. degrees from the Massachusetts Institute of Technology. From 2007 to 2010, she was the assistant director of the Computer and Information Science and Engineering Directorate at the National Science Foundation. Wing’s general research interests are in the areas of trustworthy computing, specification and verification, concurrent and distributed systems, programming languages, and software engineering. Her current interests are in the foundations of trustworthy computing, with a focus on the science of security and privacy. Wing was or is on the editorial board of twelve journals, including the Journal of the ACM and Communications of the ACM. 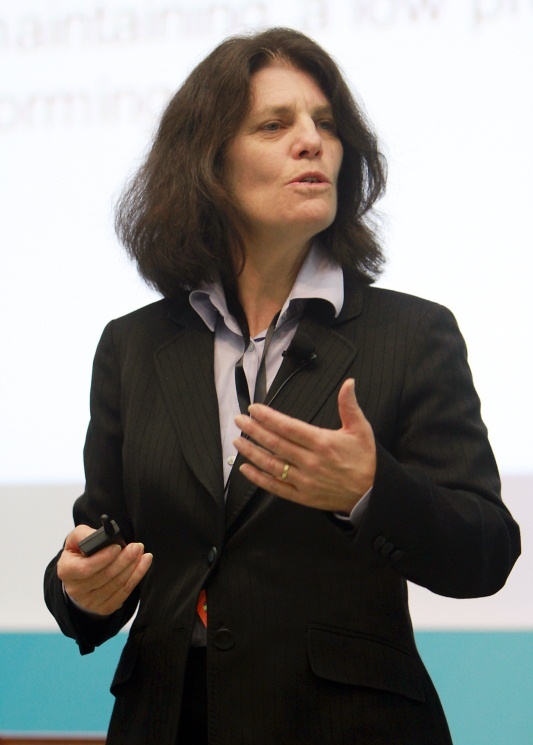 She is a member of the Computing Research Association Board, the Microsoft Trustworthy Computing Academic Advisory Board, and the General Electric Academic Software Advisory Panel. She has been a member of many other advisory boards, including: the Networking and Information Technology (NITRD) Technical Advisory Group to the President’s Council of Advisors on Science and Technology, the National Academies of Sciences’ Computer Science and Telecommunications Board, ACM Council, the DARPA Information Science and Technology Board, the National Science Foundation’s CISE Advisory Committee, the Intel Research Pittsburgh’s Advisory Board, and the Sloan Research Fellowships Program Committee. She served as co-chair of NITRD from 2007 to 2010. She was on the faculty at the University of Southern California, and has worked at Bell Laboratories, USC/Information Sciences Institute, and Xerox Palo Alto Research Laboratories. 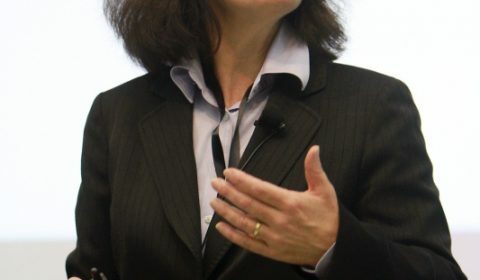 She spent sabbaticals at MIT in 1992 and at Microsoft Research from 2002 to 2003. She received the CRA Distinguished Service Award in 2011. She is a member of Sigma Xi, Phi Beta Kappa, Tau Beta Pi, and Eta Kappa Nu. She is a Fellow of the American Academy of Arts and Sciences, American Association for the Advancement of Science, the Association for Computing Machinery, and the Institute of Electrical and Electronic Engineers. 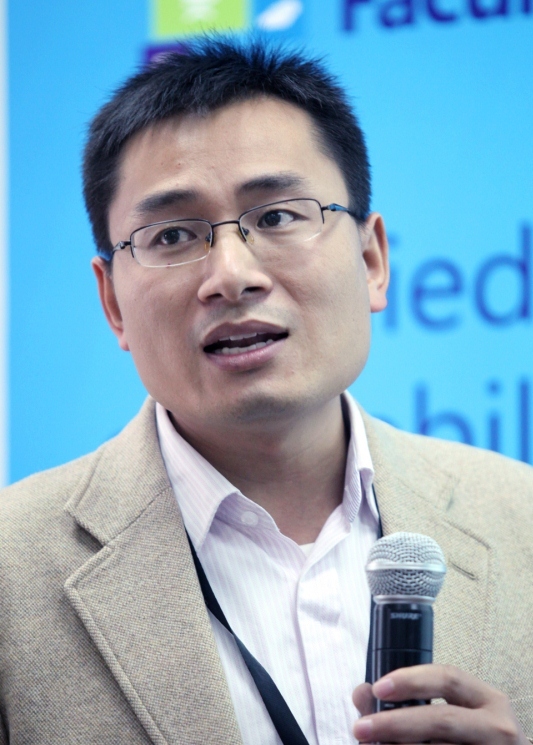 Xing Xie is a lead researcher in Microsoft Research Asia, and a guest Ph.D. advisor for the University of Science and Technology of China. He received his B.S. and Ph.D. degrees in Computer Science from the University of Science and Technology of China in 1996 and 2001, respectively. He joined Microsoft Research Asia in July 2001, working on spatial data mining, location based services, social networks, and ubiquitous computing. He has served on the organizing and program committees of many international conferences such as WWW, UbiComp, GIS, and KDD. During the past years, he has published more than 100 referred journal and conference papers. He has more than 50 patents filed or granted. He is a senior member of both ACM and the IEEE. He established the ACM SIGSPATIAL China chapter. And he was the program co-chair of UbiComp 2011. Professor ZongKai Yang, Ph.D., is a senior professor who is interested in information technology and educational technology. He received his Bachelor of Engineering in Information and Communication Engineering from Huazhong University of Science and Technology in 1985, Master of Engineering in Information and Communication Engineering from Huazhong University of Science and Technology in 1988, and Ph.D. in Information and Communication Engineering from Xi’an Jiaotong University in 1991. From 1994 to 2003, he worked as visiting researcher and senior visiting scholar at Korea University, in Silicon Valley (United States), at Wollongong University (Australia), at Nanyang Technological University (Singapore), and University of Michigan (United States). Yang has considerable research experience in the fields of educational informatization and e-learning and has led a variety of educational technology programs. Currently, he is the president of Central China Normal University, the director of China’s National Engineering & Research Center for E-Learning, and the committee chairperson of China National Educational Informatization Development Plan 2011–2020. Zhiwen Yu is a professor and vice dean in the School of Computer Science at Northwestern Polytechnical University, China. He received his B.Eng., M.Eng., and Ph.D. degree of Engineering in computer science and technology in 2000, 2003, and 2005, respectively, from Northwestern Polytechnical University. He has worked as an Alexander Von Humboldt Fellow at Mannheim University, Germany, from 2009 to 2010, a research fellow at Kyoto University, Japan in from 2007 to 2009, and a post-doctoral researcher at Nagoya University, Japan from 2006 to 2007. Yu has published more than 100 scientific papers in refereed journals and conferences, including ACM Computing Surveys, IEEE Pervasive Computing, IEEE TKDE, and PerCom. His research interests cover pervasive computing, context-aware systems, human-computer interaction, and mobile Internet. He is a senior member of IEEE and IEEE Computer Society. Xiaoru Yuan is a faculty member in the School of Electronics Engineering and Computer Science at Peking University. He received bachelor’s degrees in Chemistry and Law from Peking University, China, in 1997 and 1998, respectively. He received the Ph.D. degree in Computer Science in 2006 from the University of Minnesota in the United States. His primary research interests are in the field of visualization, with an emphasis on high-dimensional data visualization, high-performance visualization for large data, and novel visualization user interface. His co-authored work on high dynamic range volume visualization received Best Application Paper Award at the IEEE Visualization 2005 conference. He serves as the chair (2012–13) of CCF YOCSEF. 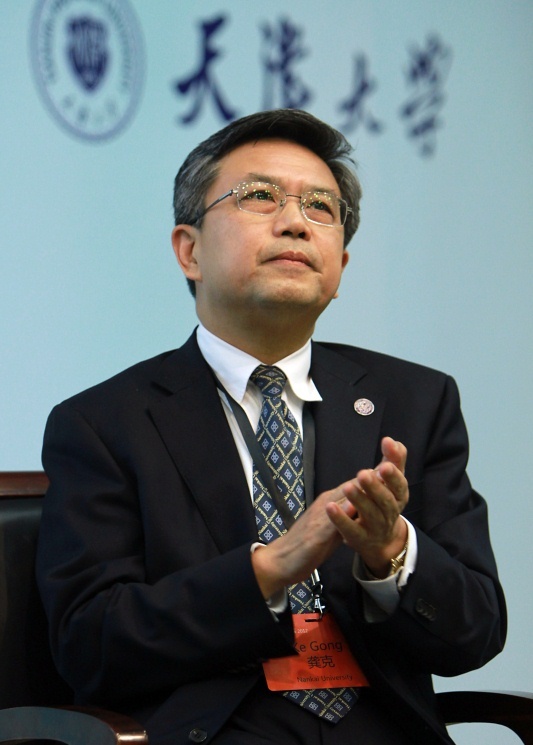 Professor Jie Zhang took office as the thirty-ninth president of Shanghai Jiao Tong University in 2006. He is a physicist who specializes in X-ray lasers, high-field physics, and laser-plasma physics. 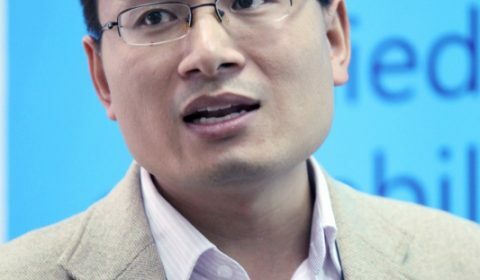 He was elected Academician of Chinese Academy of Sciences (CAS) in 2003, member of German Academy of Sciences Leopoldina in 2007, fellow of Third World Academy of Sciences (TWAS) in 2008, international fellow of the Royal Academy of Engineering in 2011, and a foreign associate of the U.S. National Academy of Sciences in 2012. He was elected as an alternate member of the Central Committee of the Chinese Communist Party in 2007. 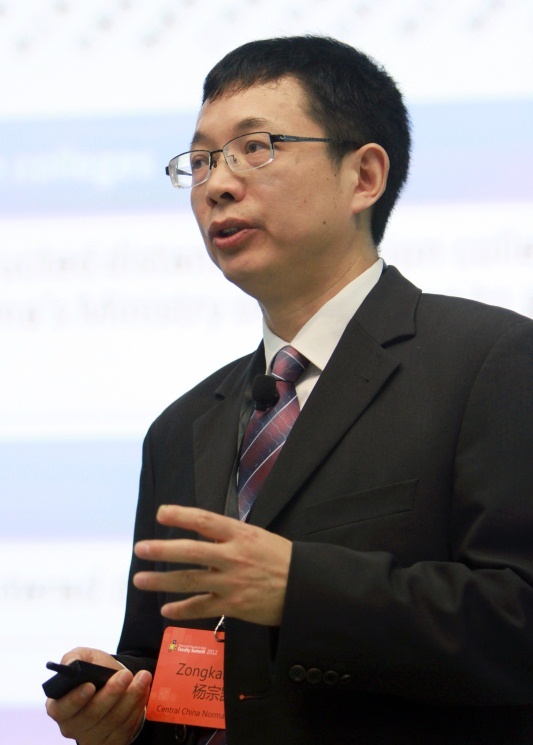 After Zhang received his Ph.D. in Optical and Atomic & Molecular Physics from the Institute of Physics, CAS, he spent 10 years at the University of Oxford (United Kingdom) carrying out research on X-ray lasers and laser-plasma physics. Prior to his appointment as president of Shanghai Jiao Tong University, Zhang had consecutively held positions as: director general of the Bureau of Basic Sciences, CAS; deputy director of the Institute of Physics, CAS; and director of the Laboratory of Optical Physics, CAS. Zhang’s academic achievements have been recognized by numerous awards, including: the TWAS Prize in Physics, the Outstanding Science and Technology Achievement Prize, the Natural Sciences Prize, the Science and Technology Progress Award, the Achievement in Asia Award, the Chinese Physical Society Rao Yutai Award in Physics, and the Chinese Optical Society Wang Daheng Award in Optics. His work has also been recognized by the Chinese Academy of Sciences. Zhang strongly promotes research endeavors in the global forefront of science and technology that address problems arising from China’s major strategic needs. He took the lead in developing and implementing the road maps of institutional and academic development of Shanghai Jiao Tong University towards 2020, and advanced the international and comprehensive evaluation of the disciplinary development of the university. He has placed particular emphasis on attracting and cultivating talent, especially the establishment of exceptional teams of academic leaders at the university. He believes that these academics are vital to making the university a first-rate institution and encouraging innovation in China. 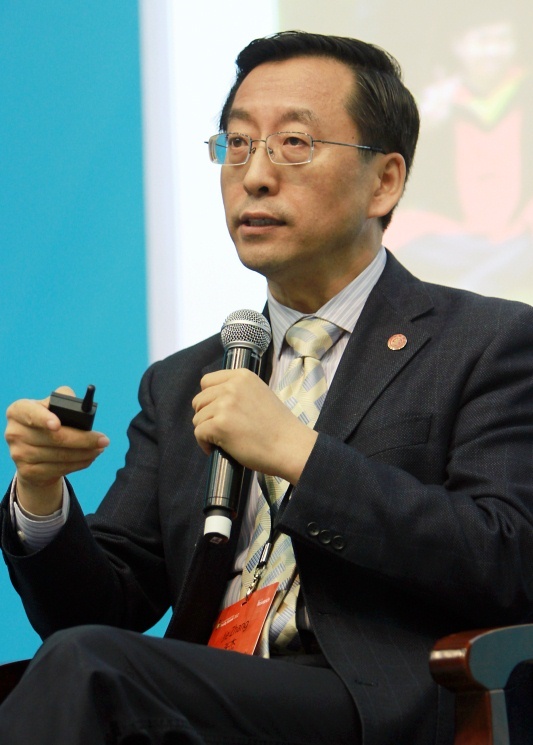 As the deputy director of the National Natural Science Foundation of China (NSFC), Dr. Zhaotian Zhang is responsible for helping to drive the support and funding of national scientific research and talent development to include the area of information sciences. 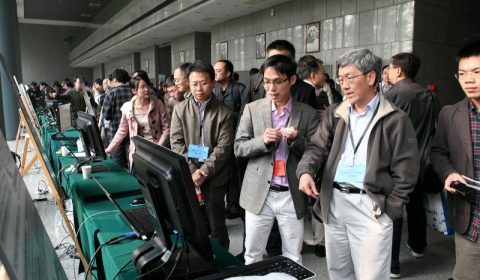 Before joining the NSFC in 1998, Zhang researched inverse problems at the Beijing Information Technology Institution from 1987 to 1998. His research specialties include signal analysis, image processing, inverse problems, and tomography. Zhang participated in an exchange with Sydney University in Australia in 1997 and a sabbatical at Manchester University in the United Kingdom in 2004. Zhang graduated from the Inner Mongolia University mathematics department with a B.S. in 1984, and an M.S. in 1987. He received his Ph.D. in Intelligence Information Process from the Institute of Automation, Chinese Academy of Sciences, in 2006. 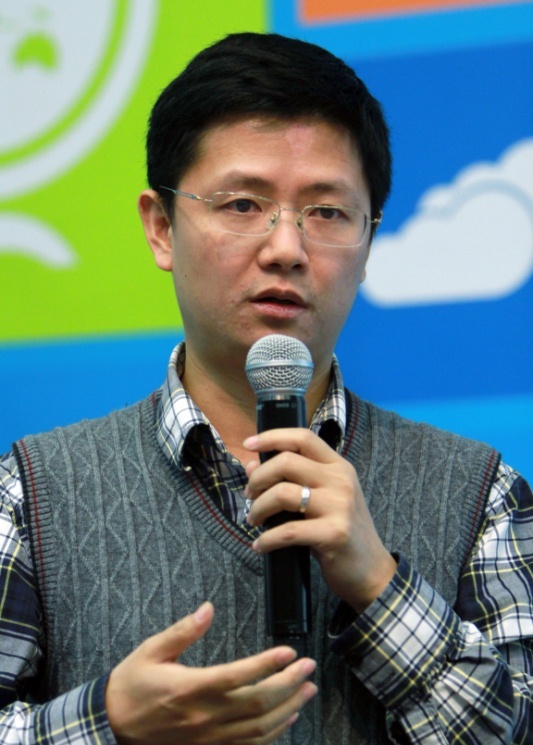 Ming Zhou is principal researcher and manager of the Microsoft Research Asia Natural Language Computing Group. He is an expert in the areas of machine translation and natural language processing. 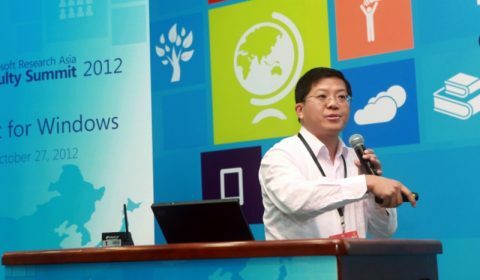 He came to Microsoft in 1999 from his post as an associate professor of Computer Science at Tsinghua University. 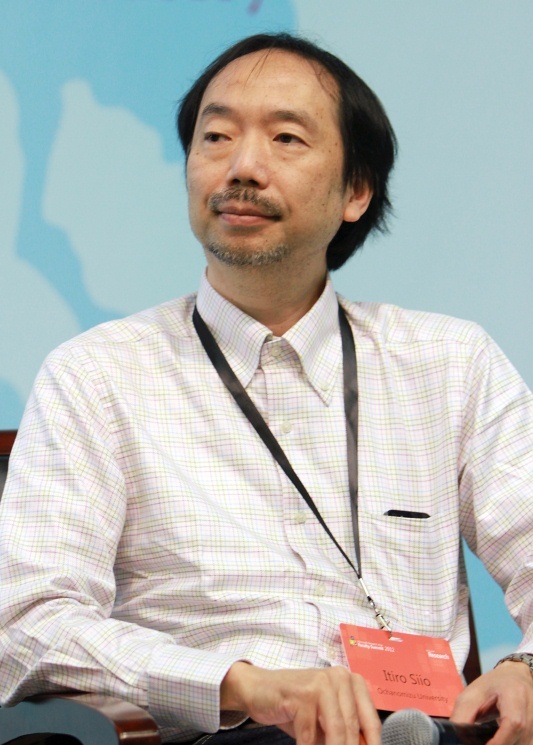 He designed the famous Chinese-Japanese machine translation software product, J-Beijing, in Japan; it was granted Makoto Nagao Award, the highest ranking prize for machine translation products issued by Japan Machine Translation Association in 2008. He also designed the CEMT-I machine translation system in 1989, the first experiment of Chinese-English machine translation in Mainland China. 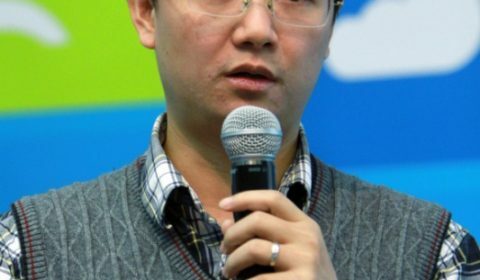 He is the key inventor and technology leader of the famous AI gaming of Chinese Couplets Generation and the English assistance search engine, Engkoo. Yuanchun Zhou is an associate professor and director assistant of Scientific Data Center at the Computer Network Information Center, Chinese Academy of Sciences. 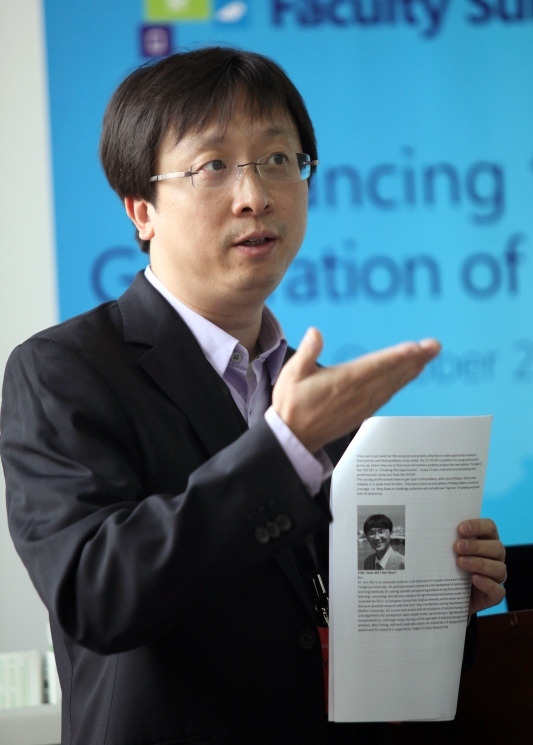 He got his Ph.D. degree from the Institute of Computing Technology, Chinese Academy of Sciences, in 2006. His main research interests include bid data mining, cloud computing, data intensive computing, and applications. He has more than 60 scientific publications in international conferences and journals. 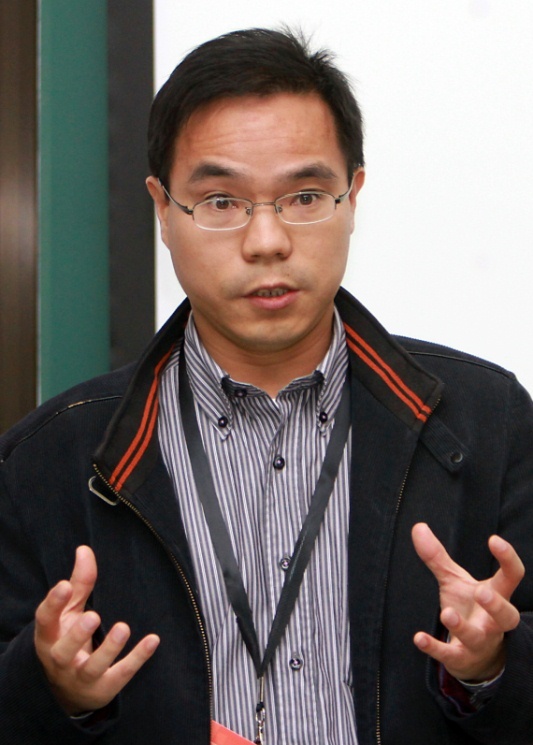 Jun Zhu is an associate professor in the Department of Computer Science and Technology at Tsinghua University. His principal research interests lie in the development of statistical machine learning methods for solving scientific and engineering problems arising from artificial and biological learning, reasoning, and decision-making in the high-dimensional and dynamic worlds. 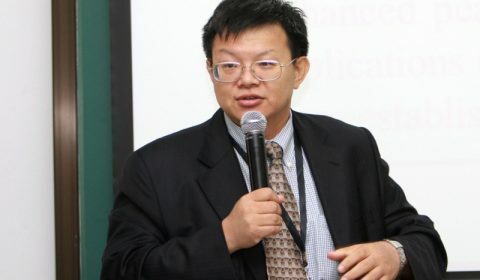 Zhu received his Ph.D. in Computer Science from Tsinghua University, and his advisor was Prof. Bo Zhang. He did post-doctoral research with Prof. Eric P. Xing in the Machine Learning Department at Carnegie Mellon University. His current work involves both the foundations of statistical learning, including theory and algorithms for probabilistic latent variable models, sparse learning in high dimensions, Bayesian nonparametrics, and large-margin learning; and the application of statistical learning in social network analysis, data mining, and multi-media data analysis. 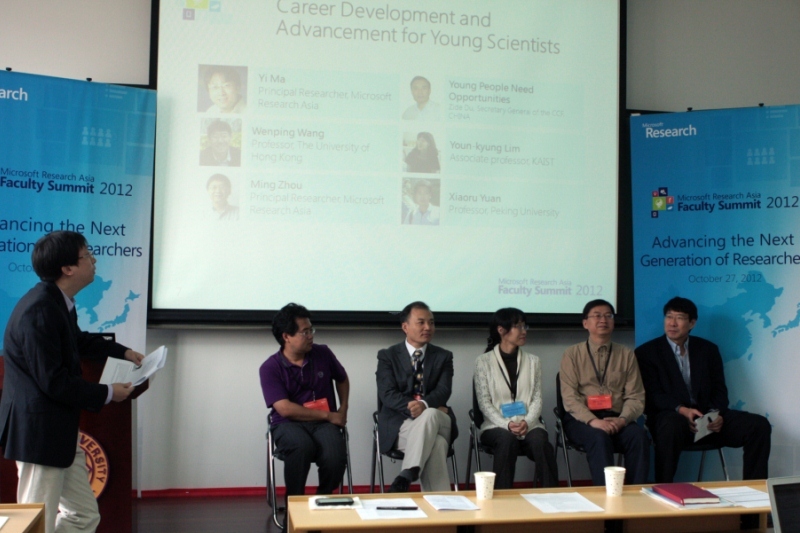 He received the CCF distinguished Ph.D thesis award and his research is supported by Tsinghua 221 Basic Research Plan. Hengming Zou is a professor of Computer Science at China’s Shanghai Jiao Tong University (SJTU). His research interests include high reliability software design, high availability IT systems, and secure storage. Before joining SJTU, He worked for more than eight years in the U.S. software industry with IBM, National Data Corporation, Lucent, and EMC Corporation; and more than one year at China International Economic Consultant Corporation in Shanghai. Hengming Zou received his Ph.D. in Computer Science and Engineering from the University of Michigan-Ann Arbor; his M.S. in Computer Science from the Institute of Computing Technology, Chinese Academy of Sciences in Beijing, China; and his B.S. in Computer Science and Technology from Huazhong University of Science and Technology in Wuhan, China. Event detection and topic tracking within the Internet environment is very important not only for managing web data effectively but also for satisfying users’ information needs. We propose a solution that provides real-time event detection and topic tracking from web data, and we have implemented a prototype system to validate the effectiveness of our proposed methods.Our solution employs the following methods. We select mainstream news site data as the source for event detection and topic tracking and integrate it with users’ micro-blogs to provide more comprehensive information. We focus on the algorithm efficiency so that the proposed methods can detect events and topics in real time. We exploit the structure information of web data, which could help compute the similarity between news pages and better support event detection and topic tracking. We present a mobile sensing platform for context computing in sensor-rich mobile environments. The platform runs as a middleware on top of smartphones and sensor devices. We plan to demonstrate the key functionalities of the platform. Context monitoring: the platform provides sensing applications with APIs to specify the contexts of interest (such as location or activity) in a declarative query. We will show diverse context types and sensing devices that the platform supports, and the detailed operation of context monitoring. Gesture monitoring: the platform supports mobility-robust gesture recognition with a hand-worn sensor device. On the platform, we show the control of an MP3 player by hand gestures under dynamic mobile environments such as walking and running. For example, by revolving the MP3 player volume control to adjust the volume. Cooperative monitoring: We address a severe energy problem caused by continuous sensing through opportunistic cooperation among nearby mobile users. The platform automatically detects nearby cooperators and performs cooperative monitoring. In this project, we aim to construct a context-aware system that works in high degree of performance for any purpose. Most conventional research did not achieve both accuracy and lightness at the same time. Moreover, in actual use of context-aware systems, there are many problems that are considered in conventional research: it is difficult to collect data of users, developers, and users who are not in the same place, and the quantity of possible gestures is enormous. This project consists of three themes that solve these problems. We construct accurate and online activity recognition for the real-world by use the smartphone (Windows Phones) and cloud server (Windows Azure). Training the system with data from the user is commonly used in conventional studies, but is not realistic and would lead to deterioration in performance since collecting and annotating data are difficult tasks for ordinary users. Though duplicated processing and a large dataset would solve this problem instead of individual training, they are heavy load for smartphone. We construct a general context-aware system by turning heavy tasks over the server. This theme investigates the effect of communication errors between developers and users through instructions for gesture recognition, and proposes a method to bridge the gap. This theme investigates the effect of explosion of kinds of gestures covering daily life, and we propose a method to recognize them if there is a problem. Output of this project must help construct reliable context-aware products easily, which will be widely spread over the world. Along with the advancement of computer technology, more natural interfaces for human computer interaction are introduced. Natural user interface (NUI) enables us to interact with computers by using our perceptions, such as hearing, voice, gesture, and touch. However, most of these NUIs are limited to the application for a single sensor and single user scenario.In this demonstration, we bring forward a real-time framework for multi-user source localization by using audio/visual information from Kinect. Video cues, which are immune to acoustic effects, such as reverberation and background noise, are employed primarily to extract candidate locations for speech sources by using head-detection/tracking algorithms. An audio stream that is acquired by four-channel microphones is then used to detect speaking users among the candidate locations.